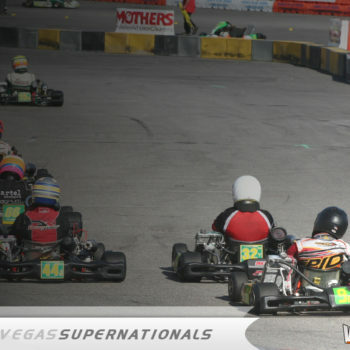 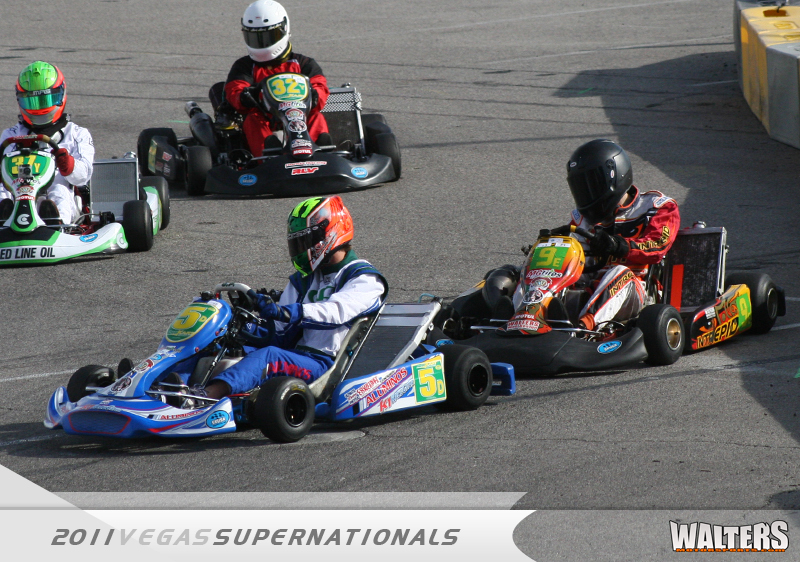 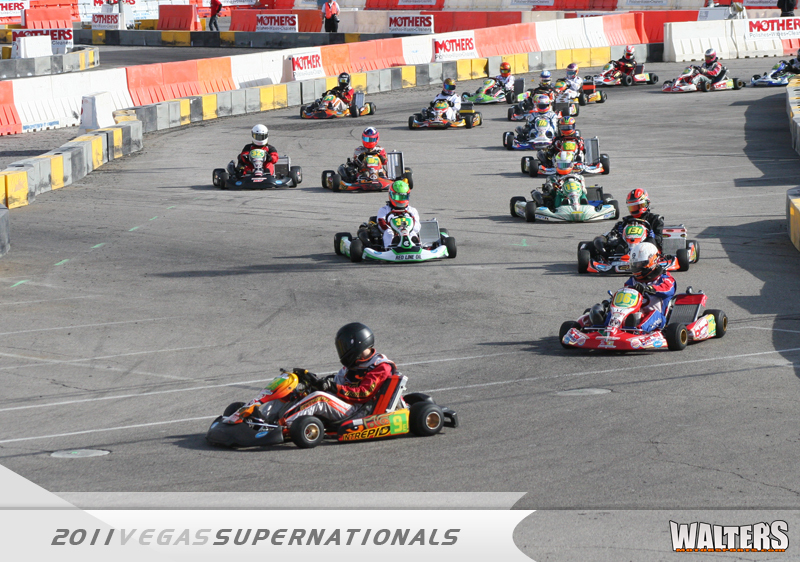 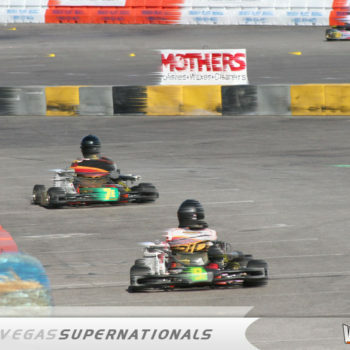 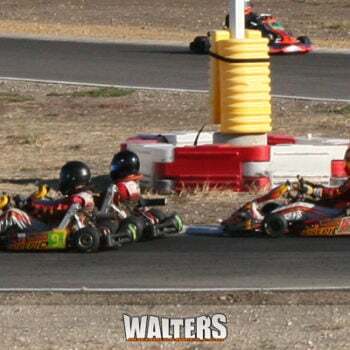 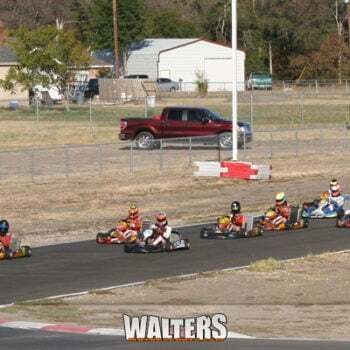 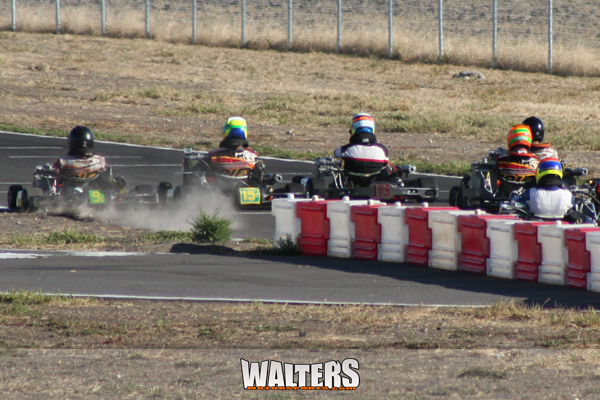 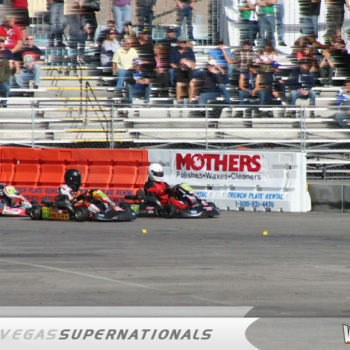 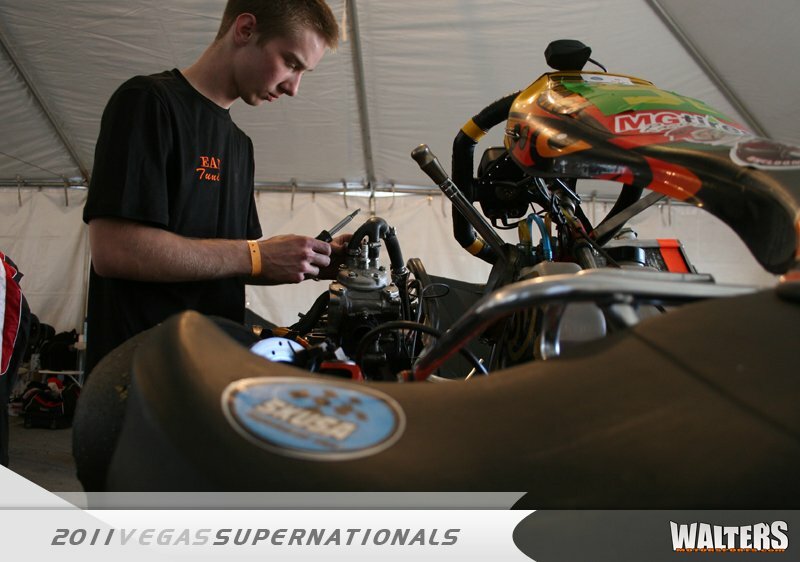 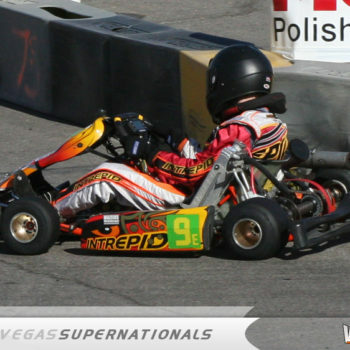 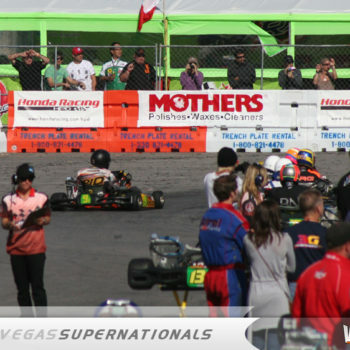 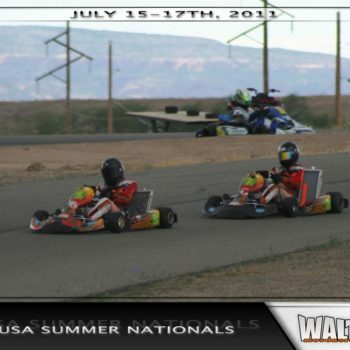 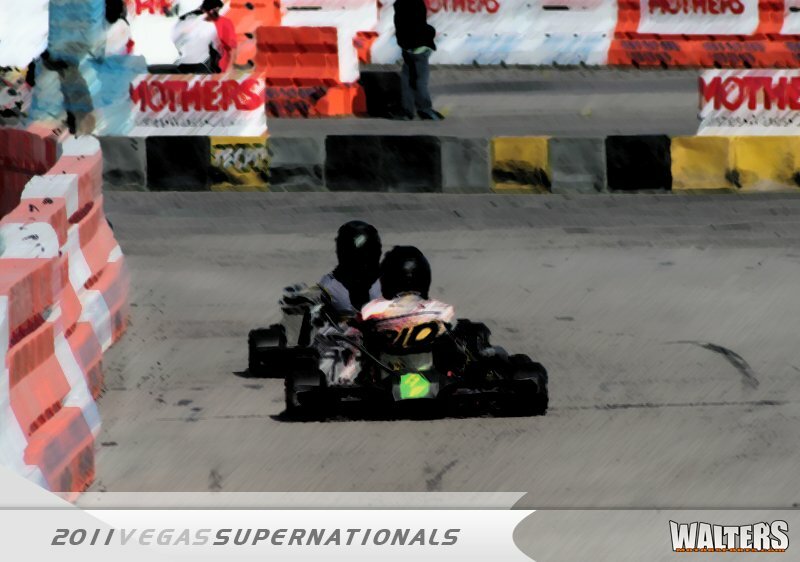 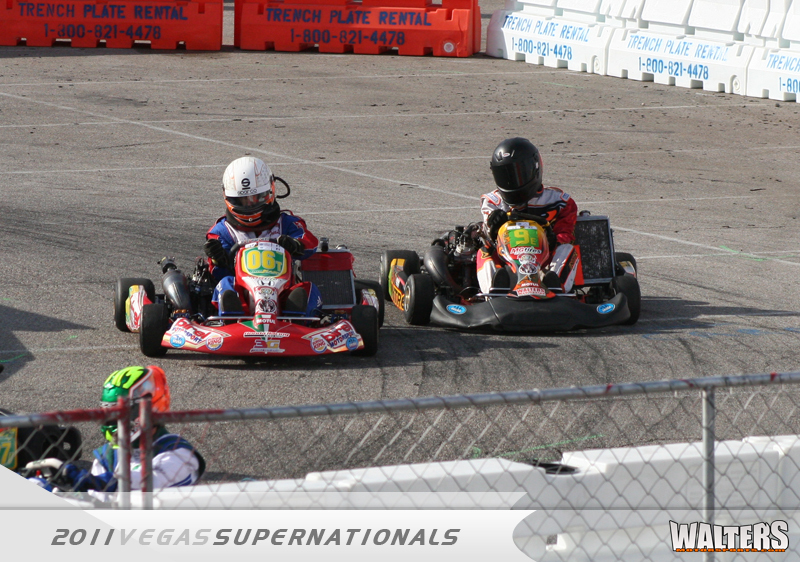 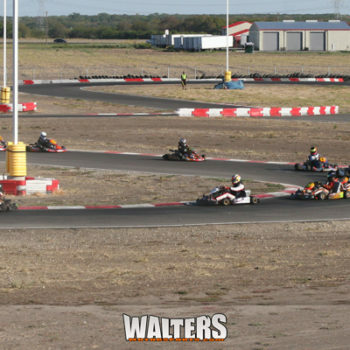 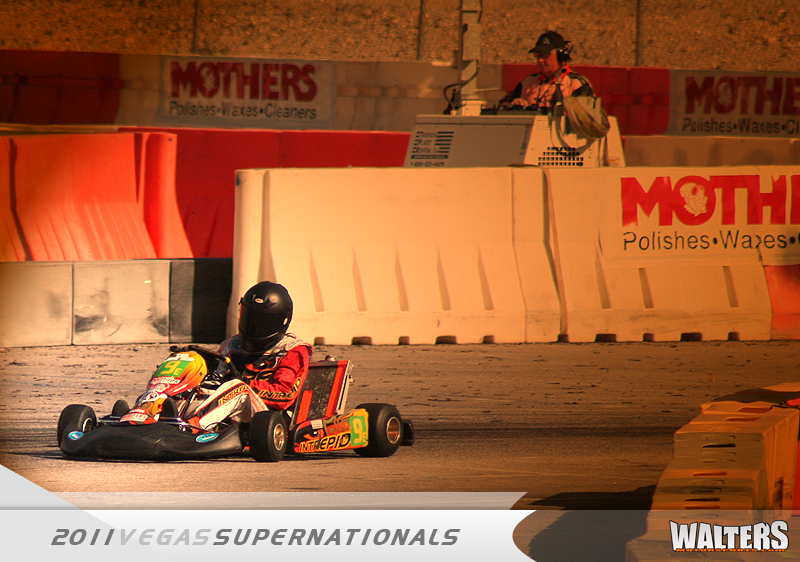 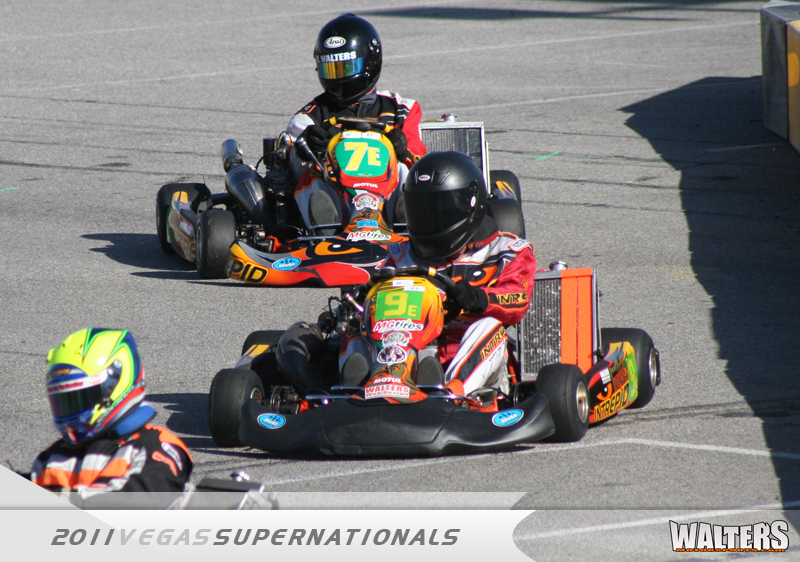 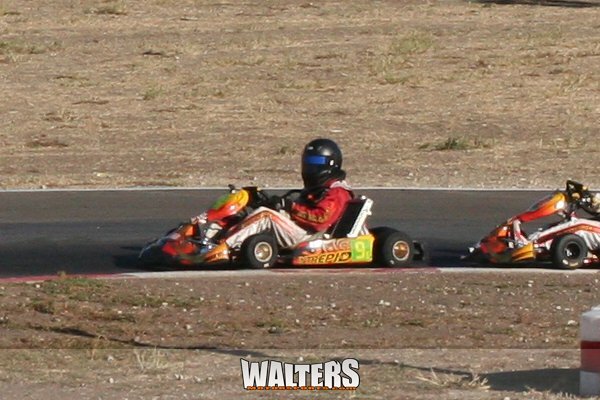 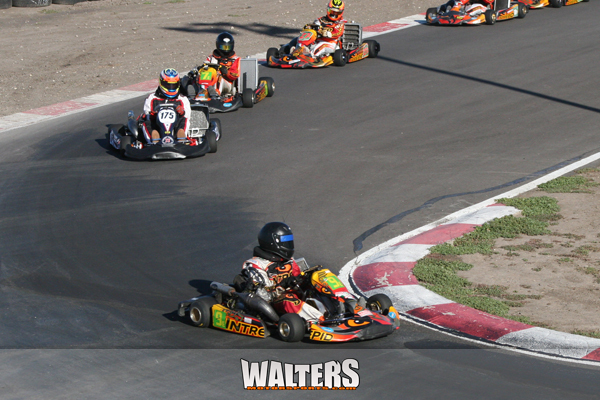 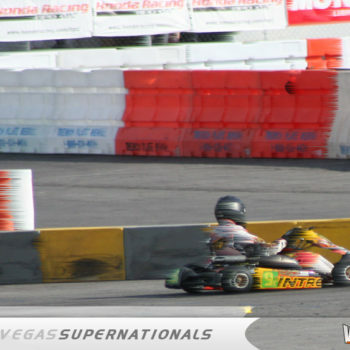 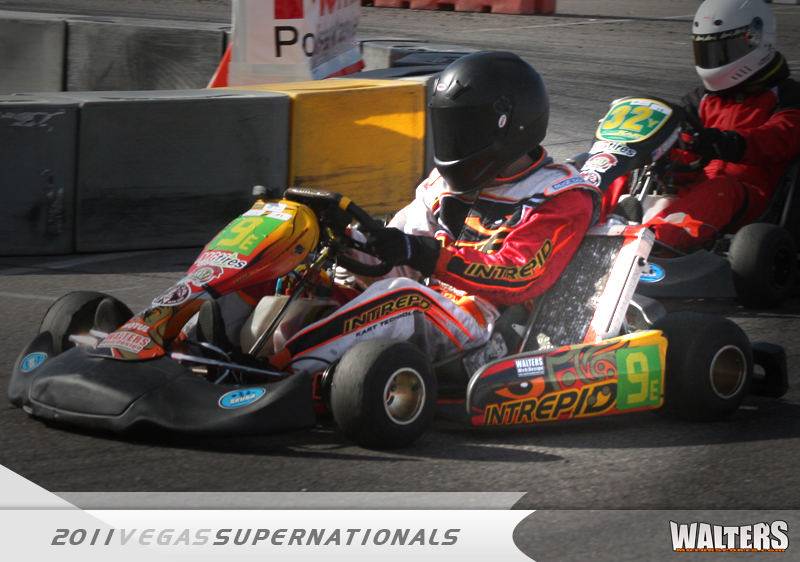 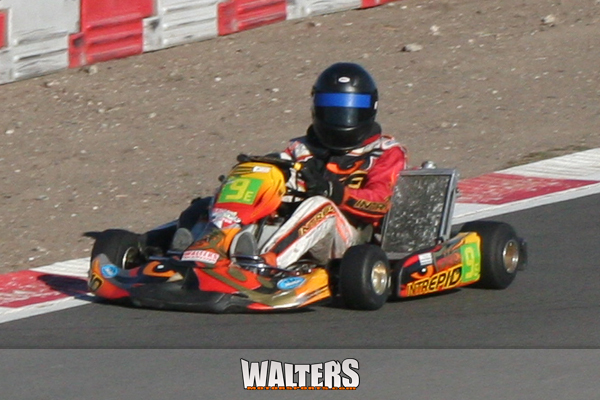 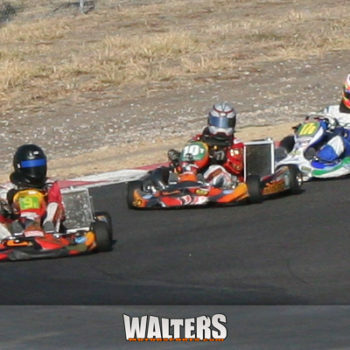 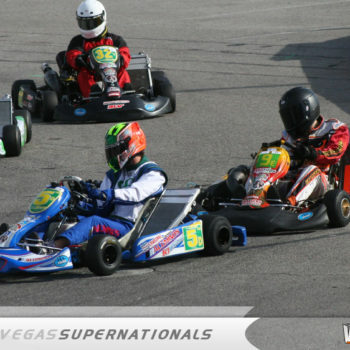 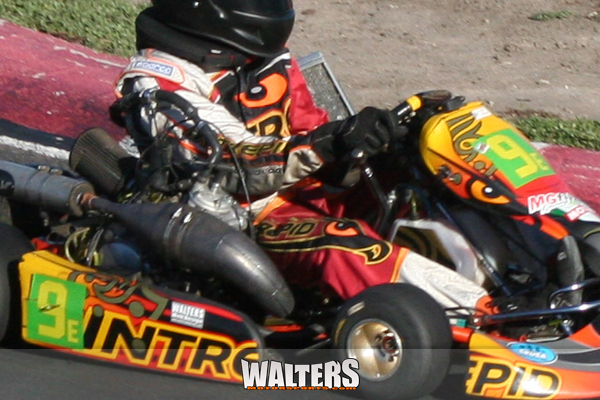 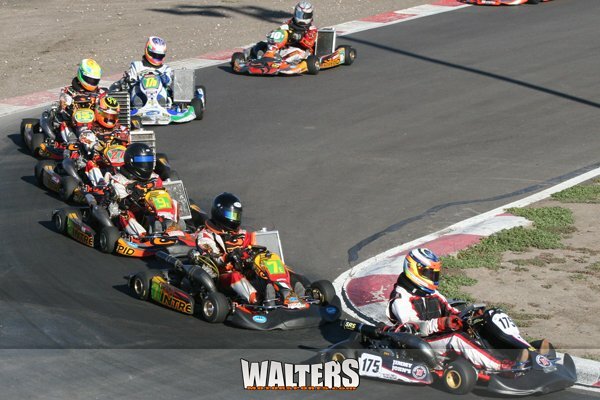 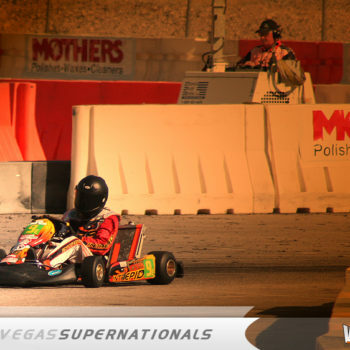 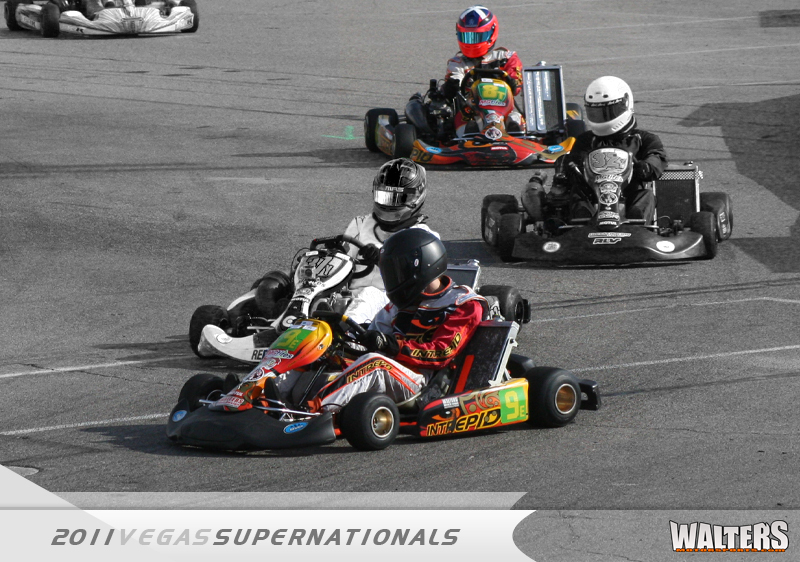 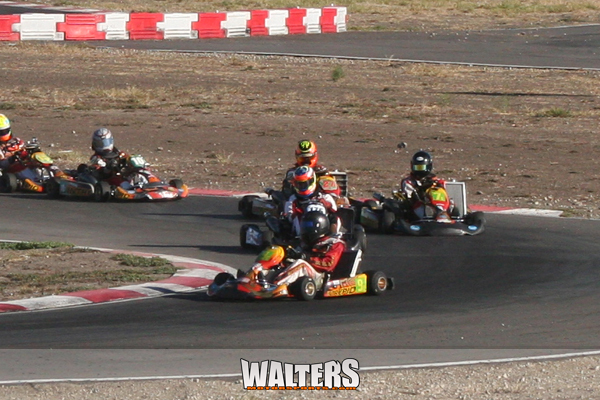 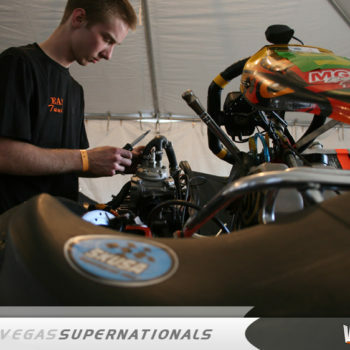 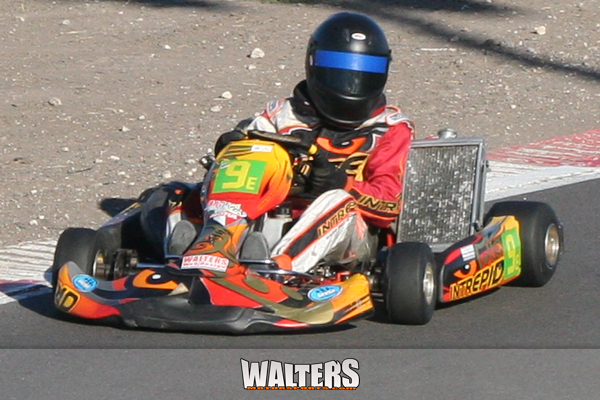 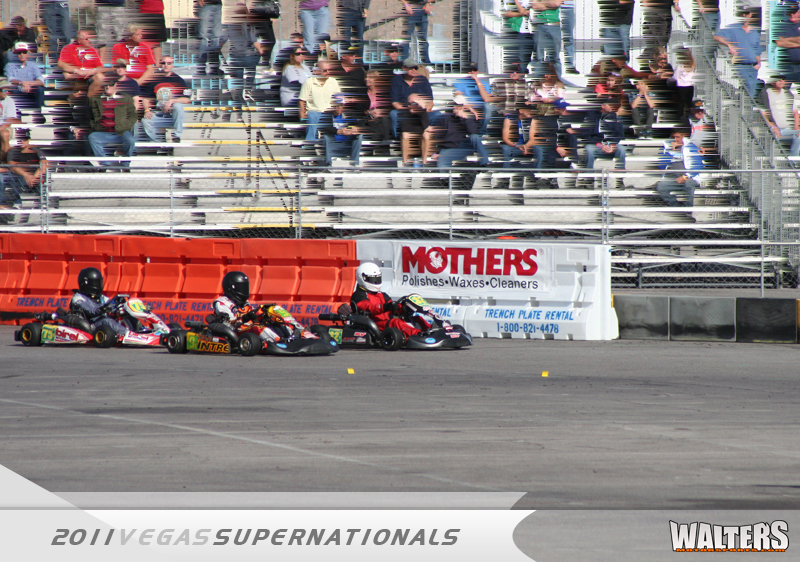 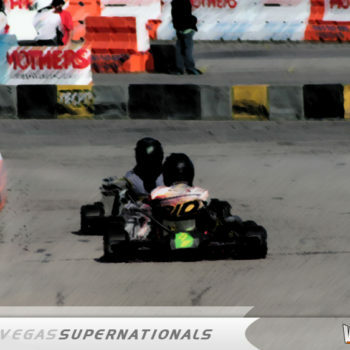 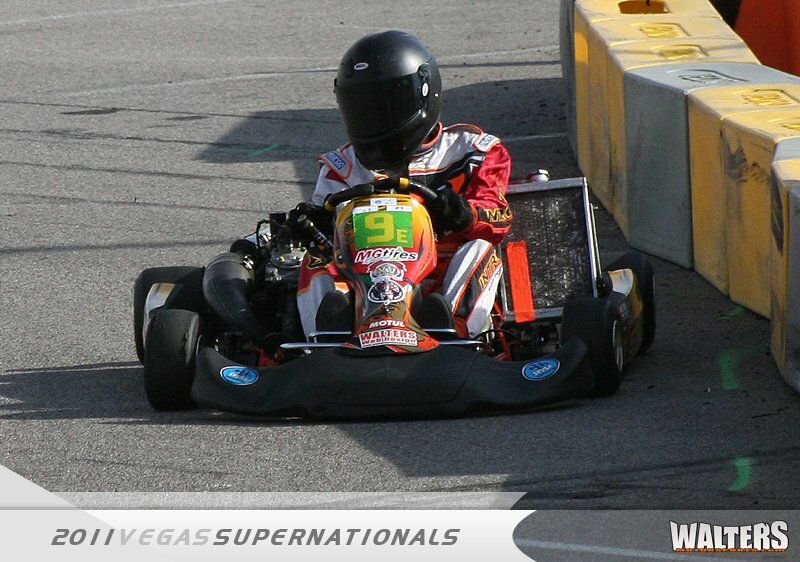 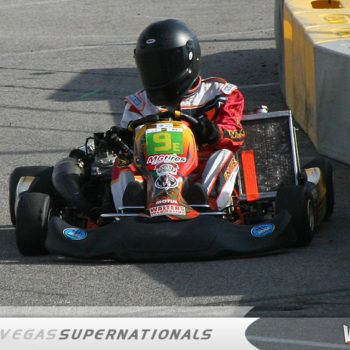 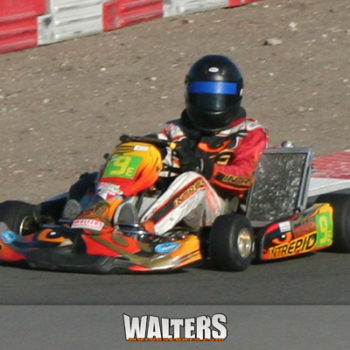 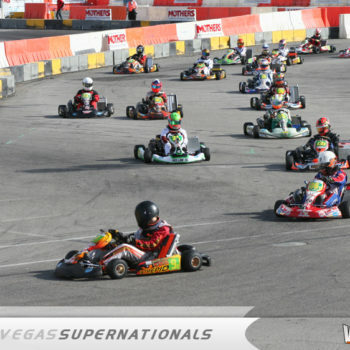 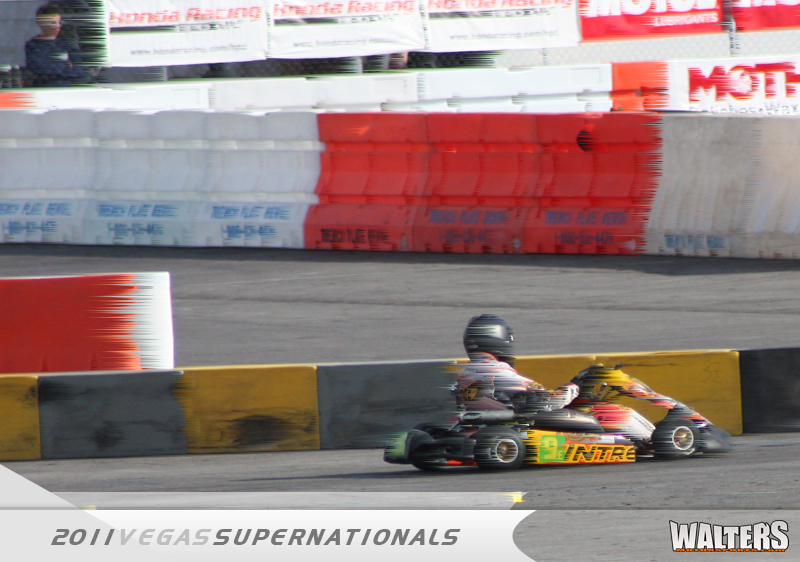 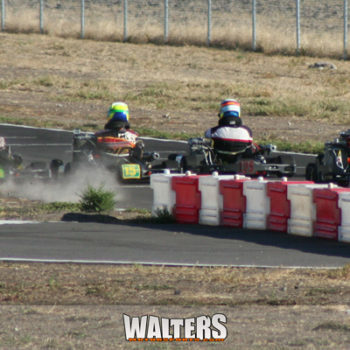 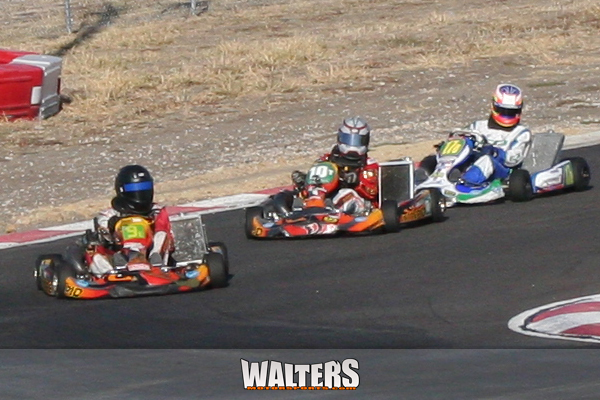 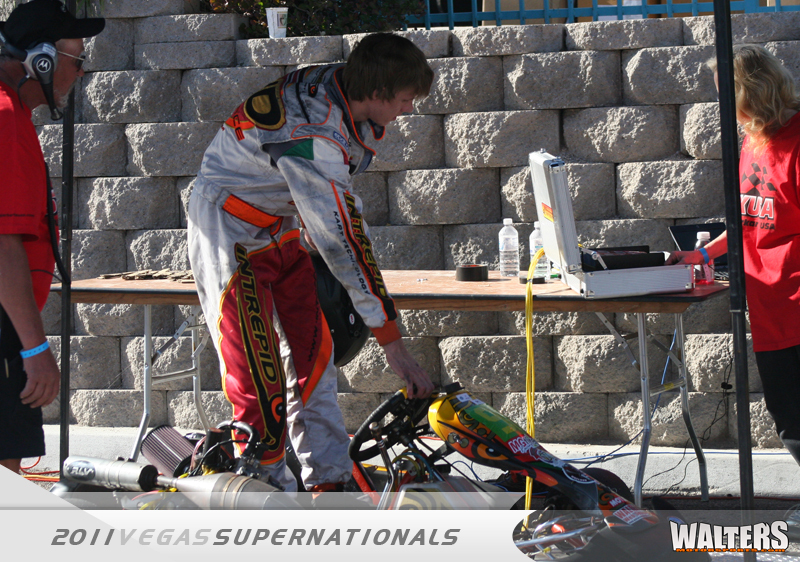 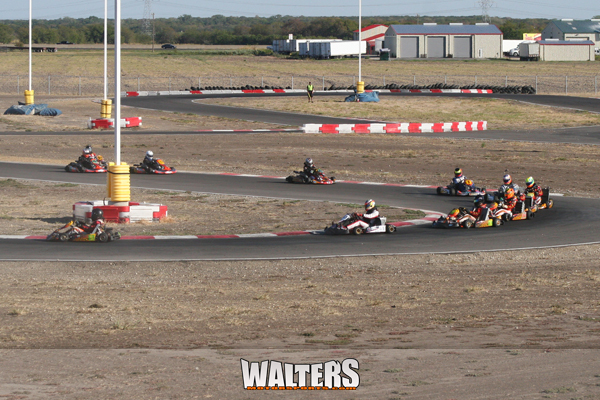 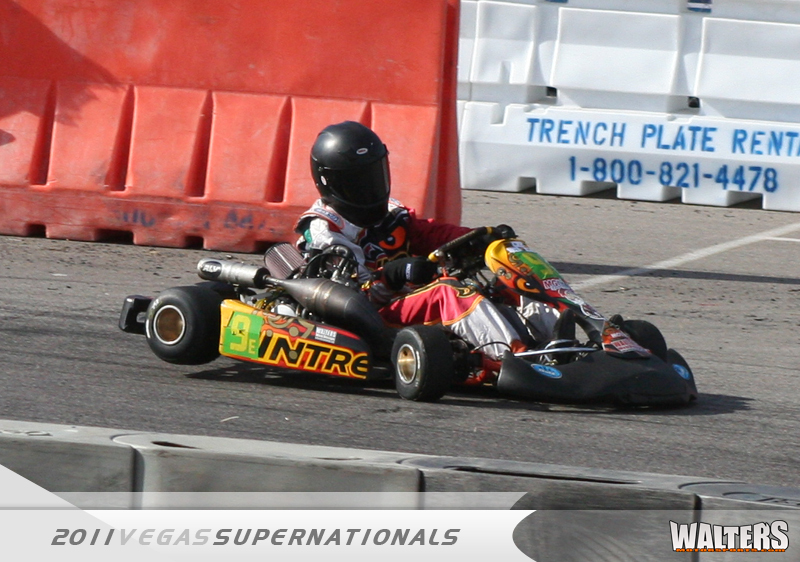 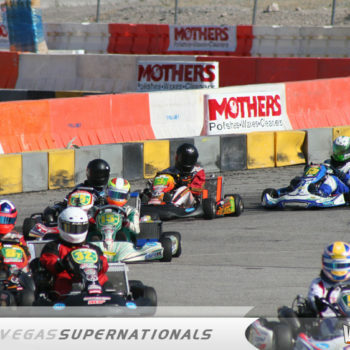 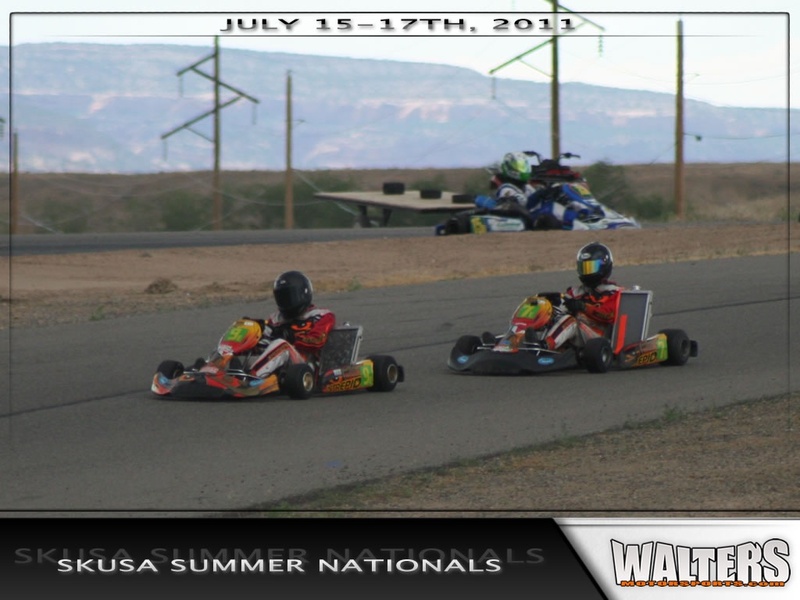 Walters Motorsports out of Saint Louis, Missouri recently returned from Tucson, Arizona where the team competed in the opening round of the SuperKarts USA Pro Tour. 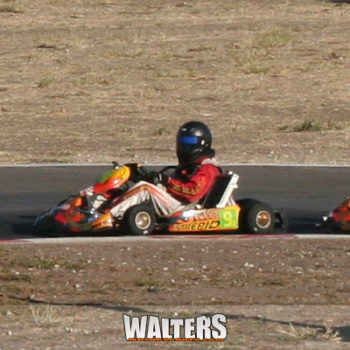 Champion Racing Intrepid drivers Evan and Shane Walters both came home with solid runs at weekends end, including a podium finish for Evan Walters. 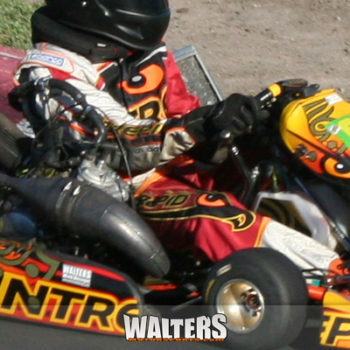 Now just a few weeks after the teams first national podium they are pleased to announce the new karting team website built by WaltersWebDesign.com. 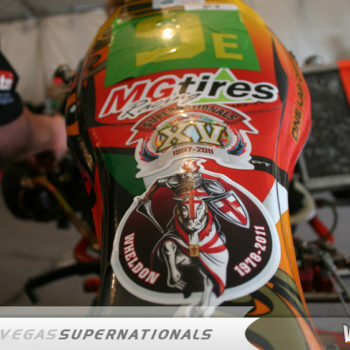 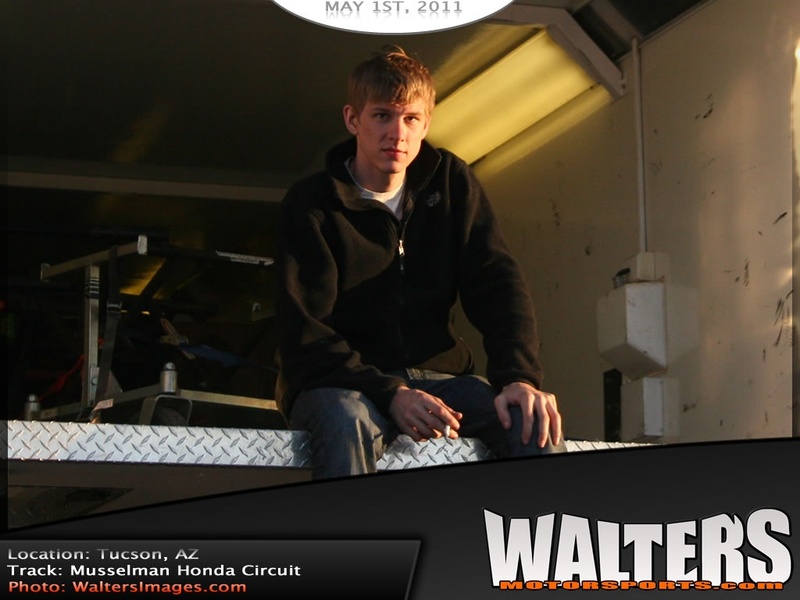 Please point your browsers to www.WaltersMotorsports.com to visit the new team website. 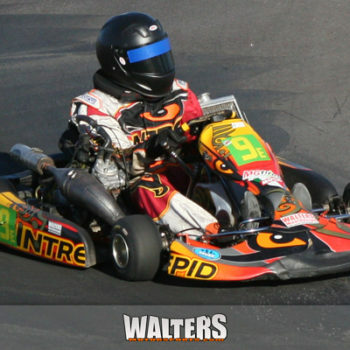 The Pro Tour weekend started off on the wrong foot for Evan Walters as he struggled with mechanical problems that forced him to miss crucial practice seasons. 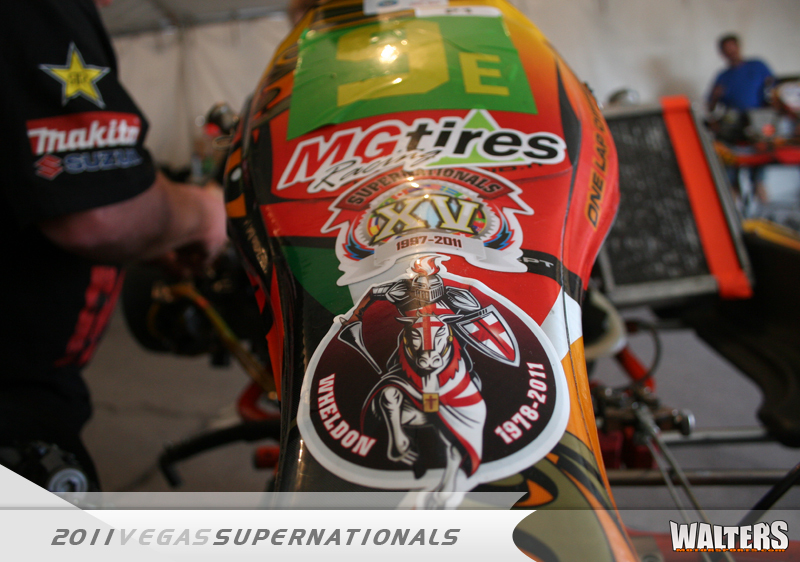 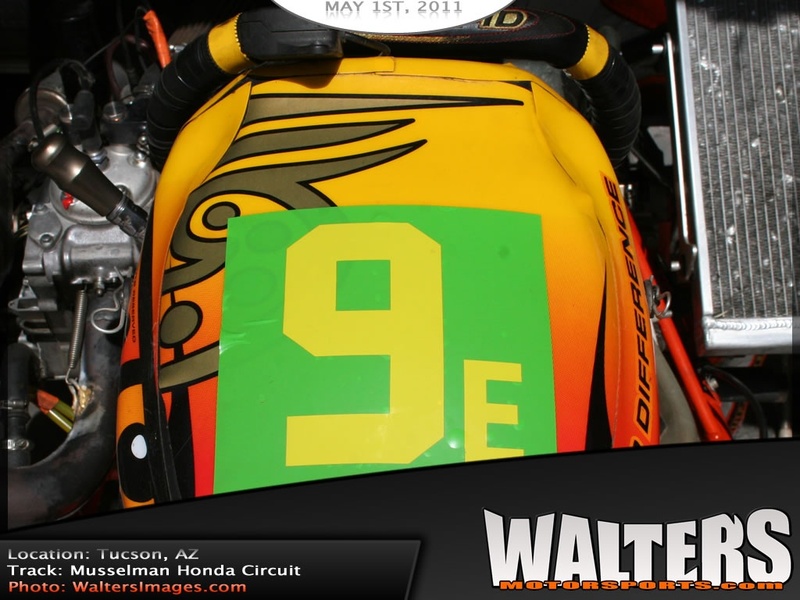 This was the first time the team had visited the Musselman Honda Circuit in Tucson, Arizona and every minute of track time was needed to learn the track before timed qualifying sessions began. 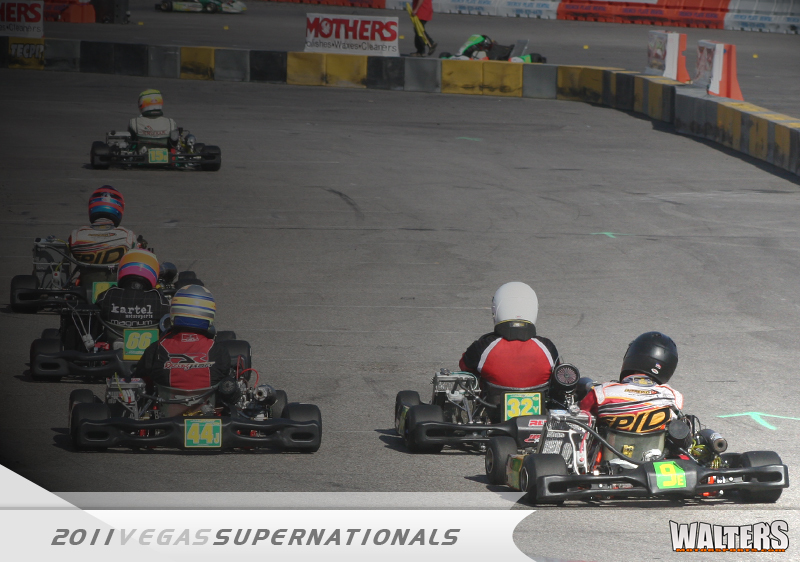 On Saturday, 31 S2 karts hit the track for qualifying and Evan grabbed the 14th position despite his limited time on track while Shane took 22nd on the grid. 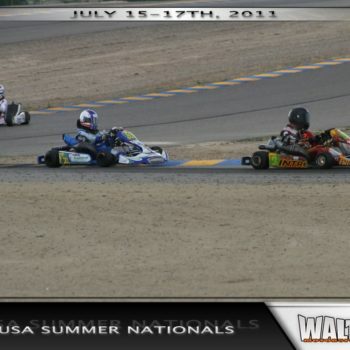 At the start of heat race 1 Evan rolled through the field as he came across the line in 5th. 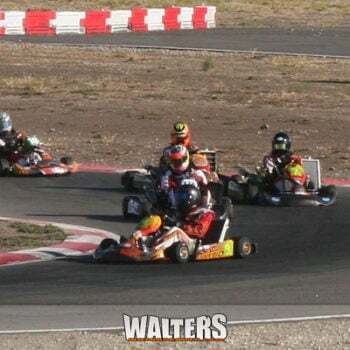 When the green flag dropped on heat 2 Evan found he wasn’t done moving through the field and finished 3rd giving him a great starting spot for the 20 lap main event. 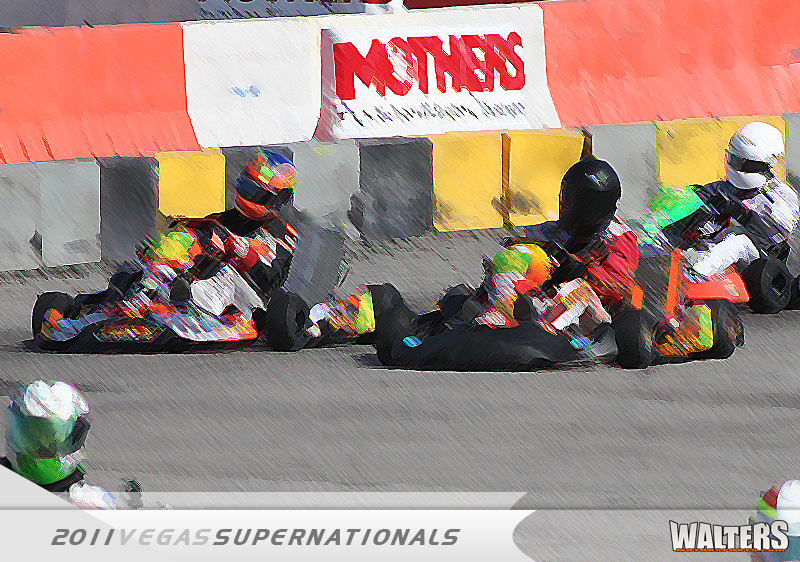 As the karts lined up and took the green on the main event Evan would fall back to the fifth position for a good portion of the race. 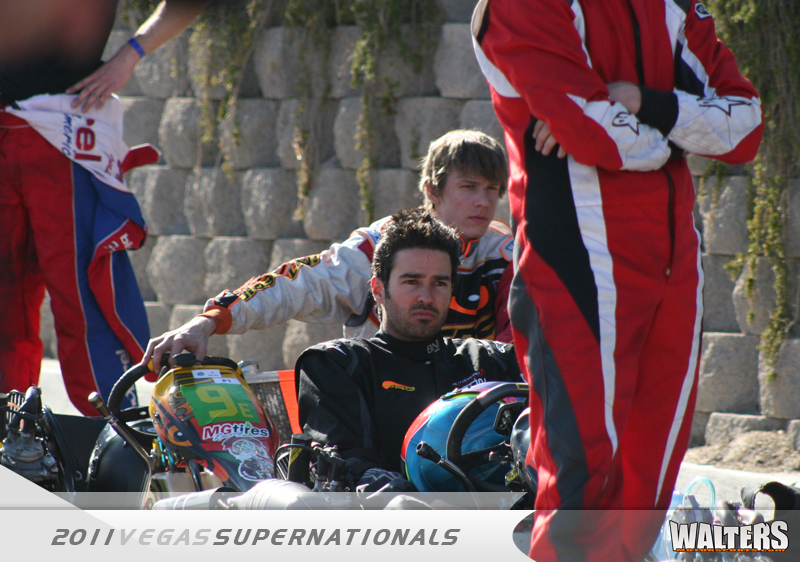 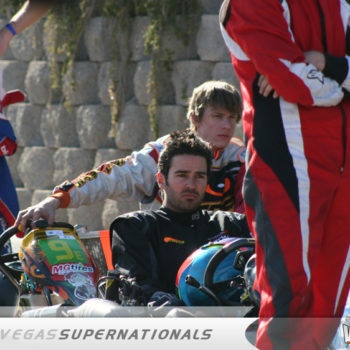 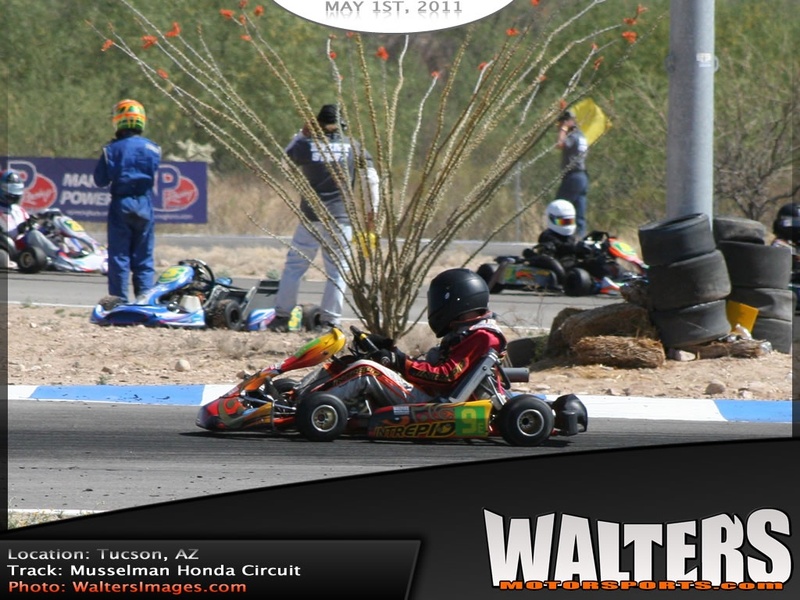 Meanwhile, On lap 1 of the race a kart drove over the back of Shane as he was then pushed off the racing surface and into the Arizona sand. 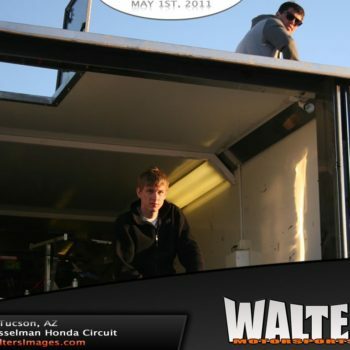 He would get the Honda engine again but only ran a few laps before heading to the scale house. 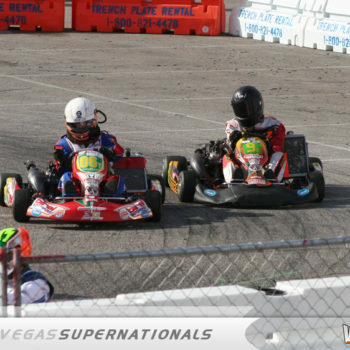 Evan on the other hand was able to work has way back to his starting position of 3rd where he would finish out the race and bring home his first national podium. 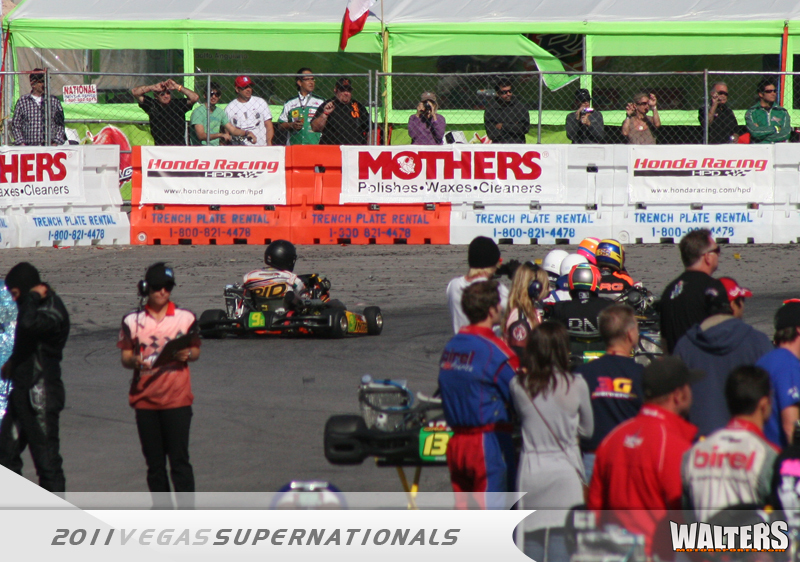 Sunday, Evan got off to a better start as he qualified in the 8th position, Shane wouldn’t get such a good start to the day qualifying 25th. 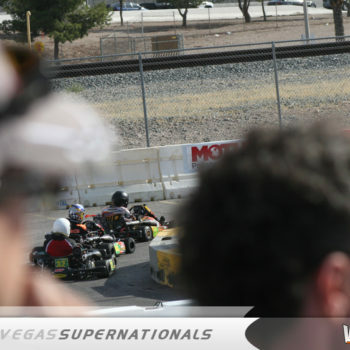 The racing began and in the 1st heat both drivers would move up the grid slightly, 7th for Evan up one spot and Shane up two positions for 23rd. 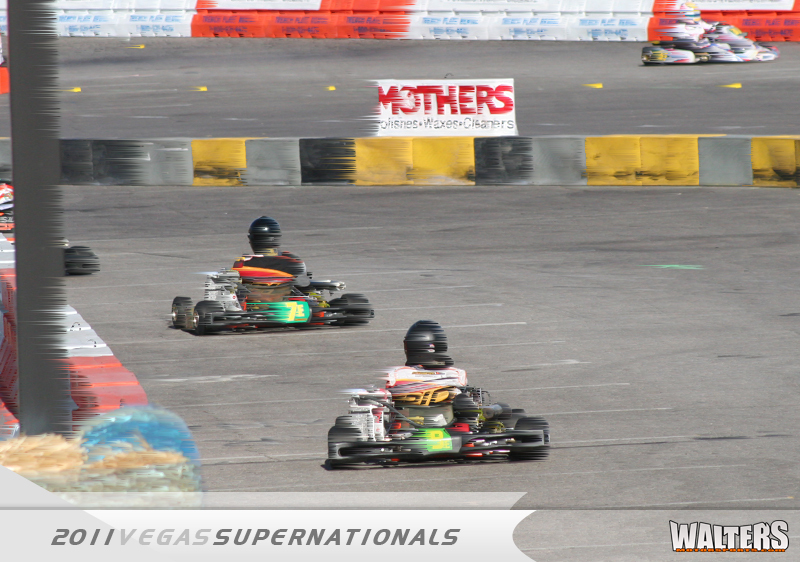 The second and final heat both drivers would again move through the field for an all important starting position in the final main event of the weekend. 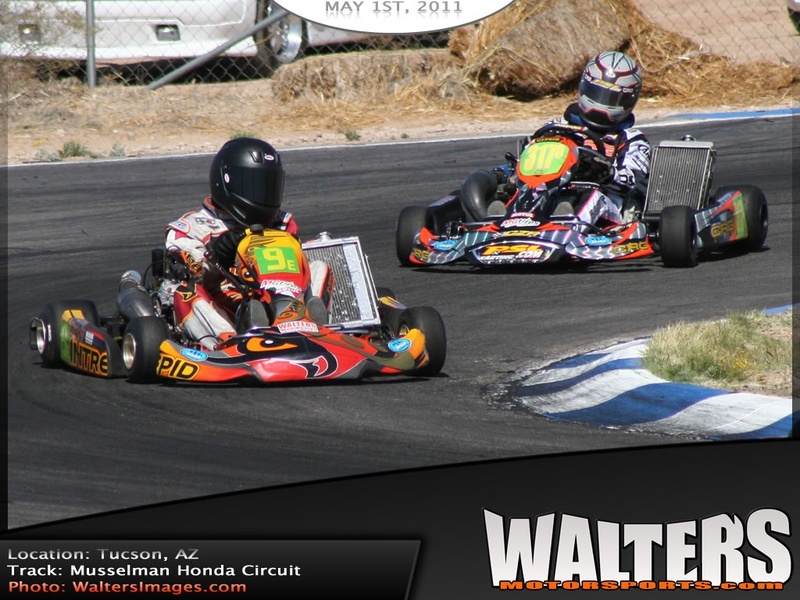 Evan again started 3rd on the grid while Shane started 17th. 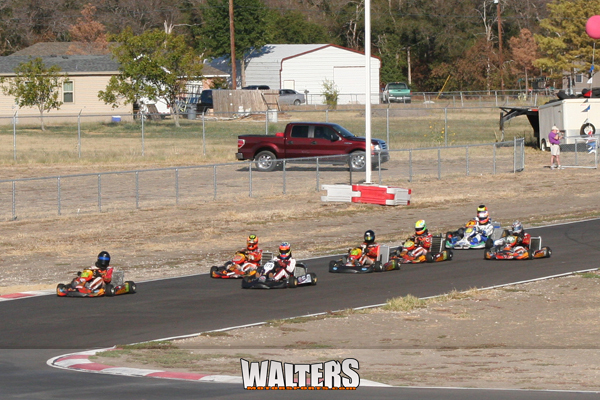 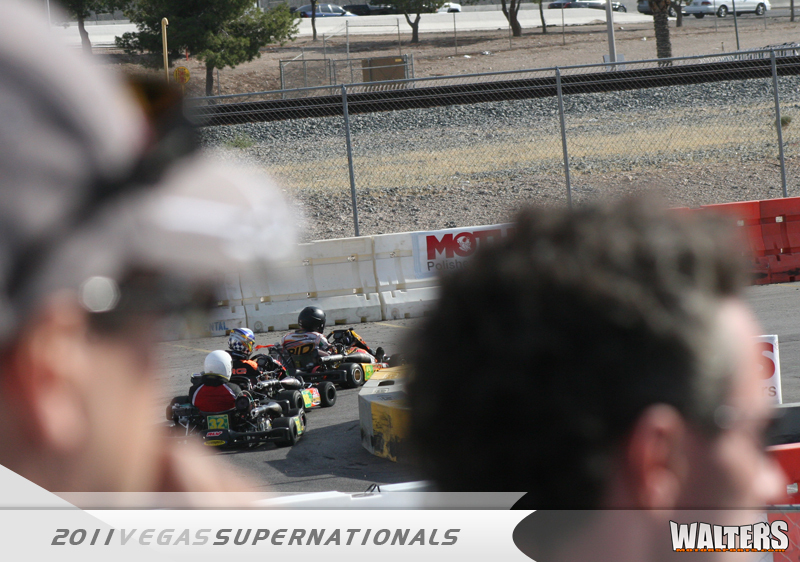 On the start Shane would pass several karts moving him to the 14th position by the end of lap 1. 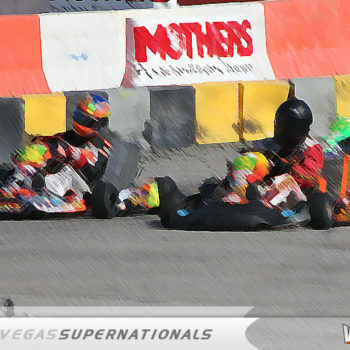 Evan would set the fast lap of the race on lap 3, however before completing lap 4 Patrick Cushenberry and Evan made contact on the exit of turn five in a racing incident, taking both drivers out of contention. 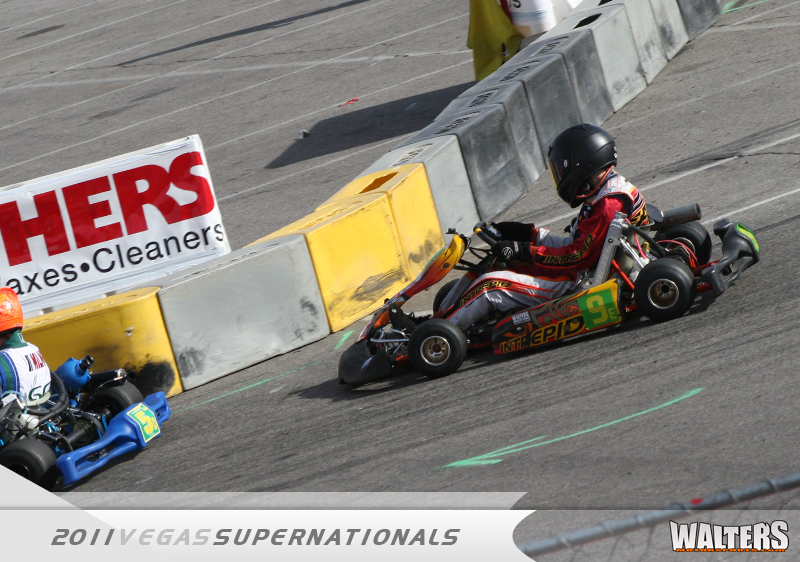 Shane would pick off a few more drivers as the race progressed and as the checkered dropped he crossed the top 10. 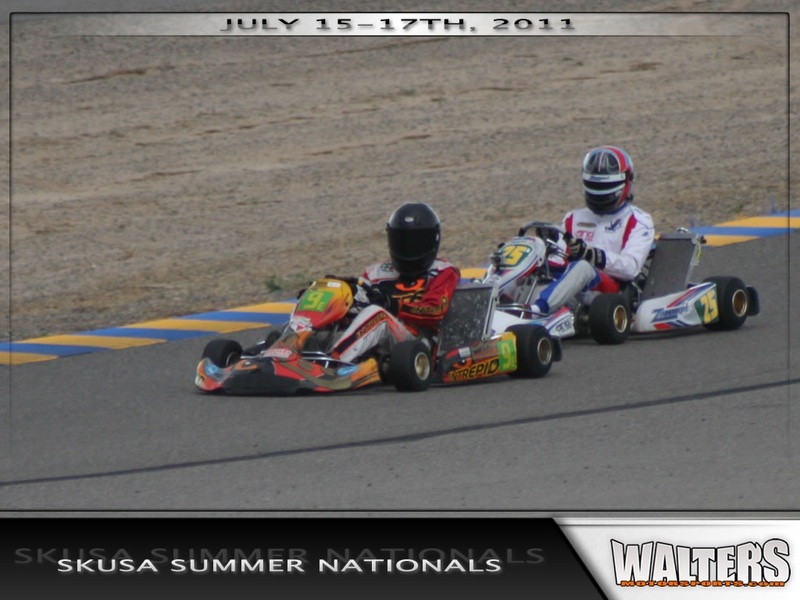 This was Shane’s second event in a shifter kart and he looks forward to the rest of the 2011 season as there is more room for progression in the new class of racing. 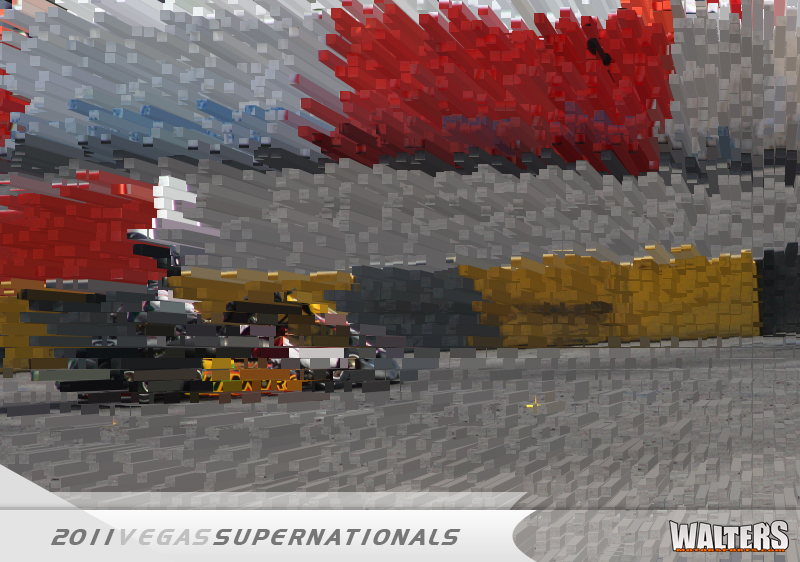 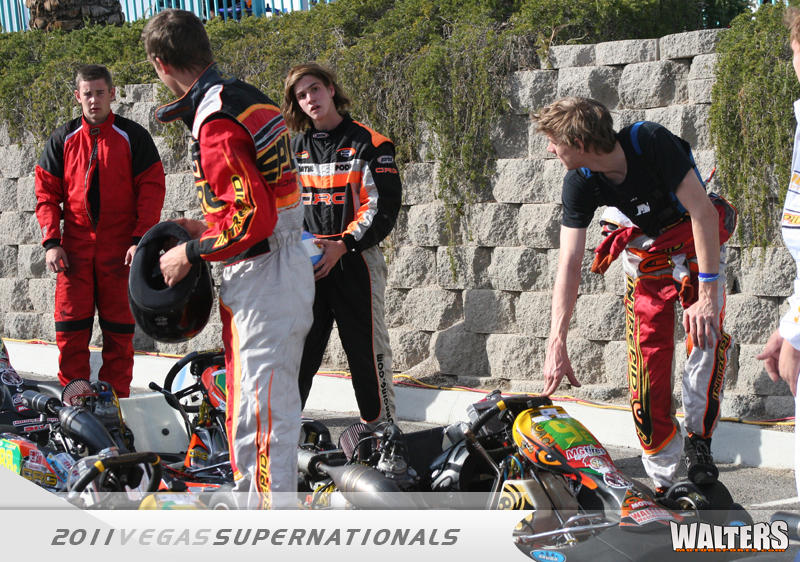 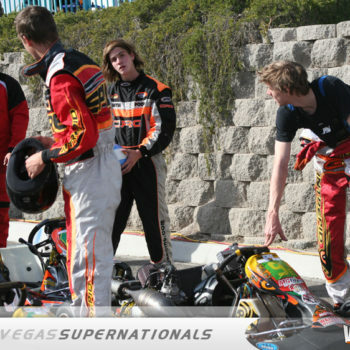 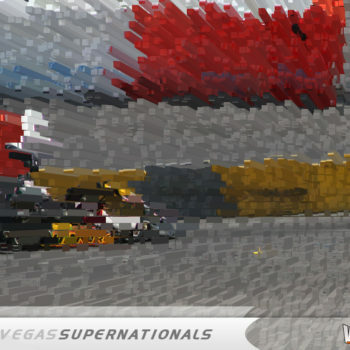 Overall, the team is very pleased with the opening round of SKUSA’s Pro Tour. 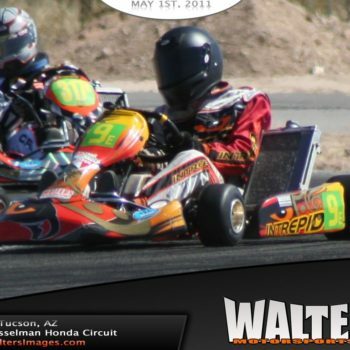 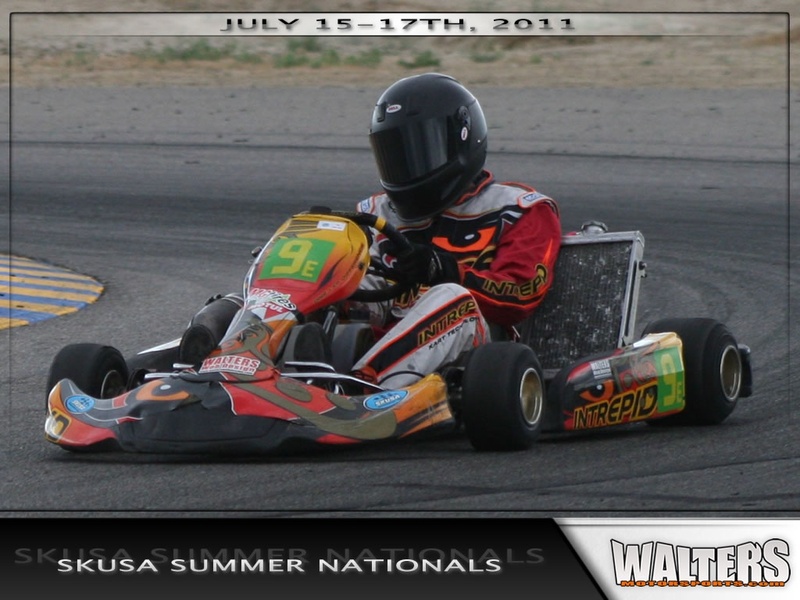 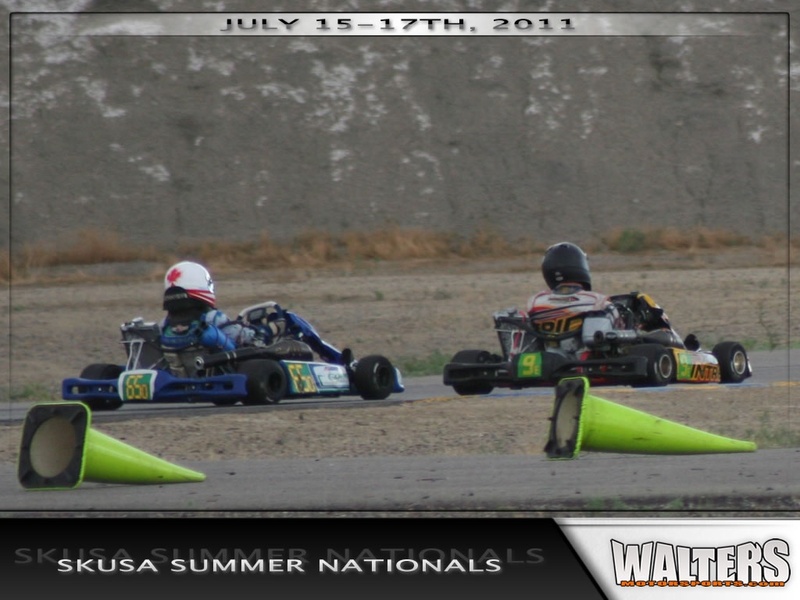 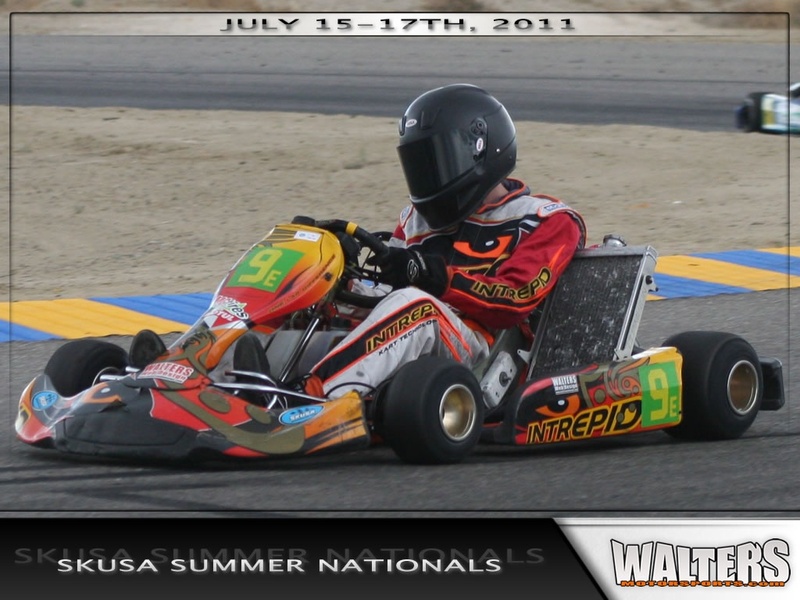 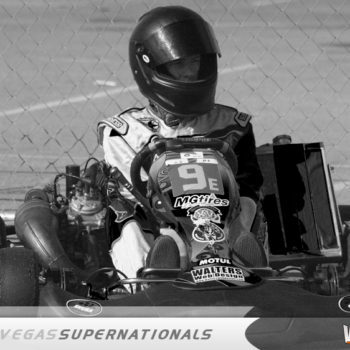 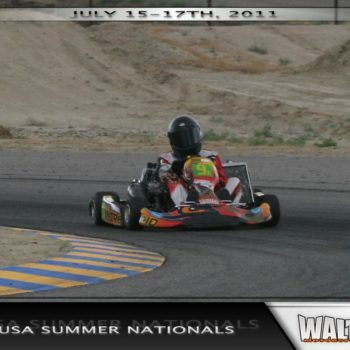 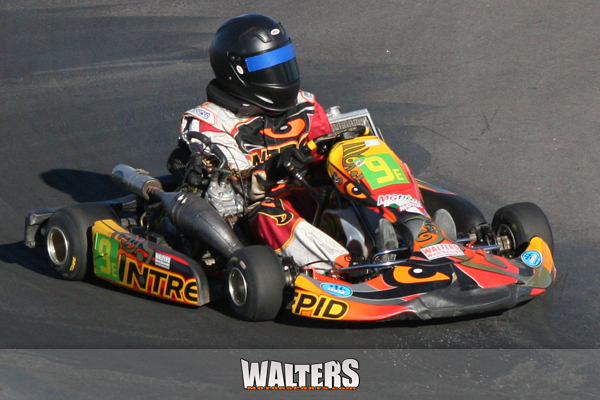 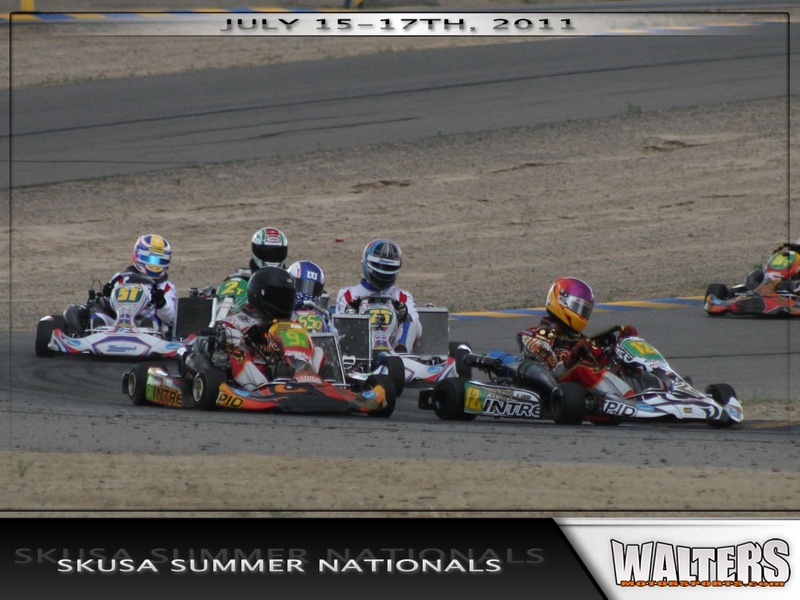 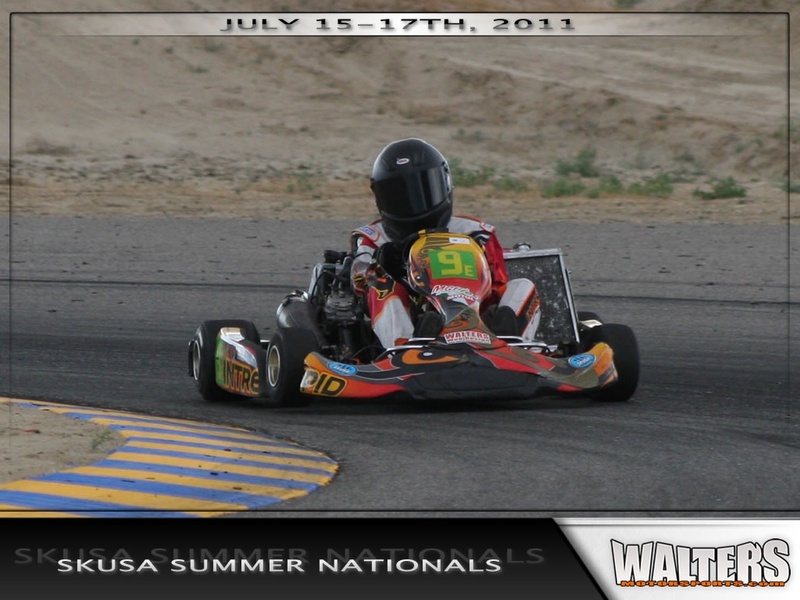 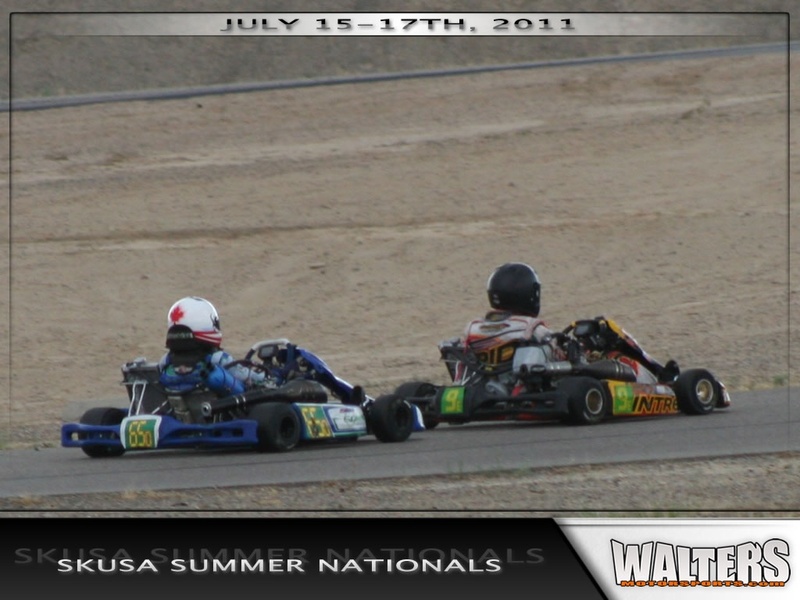 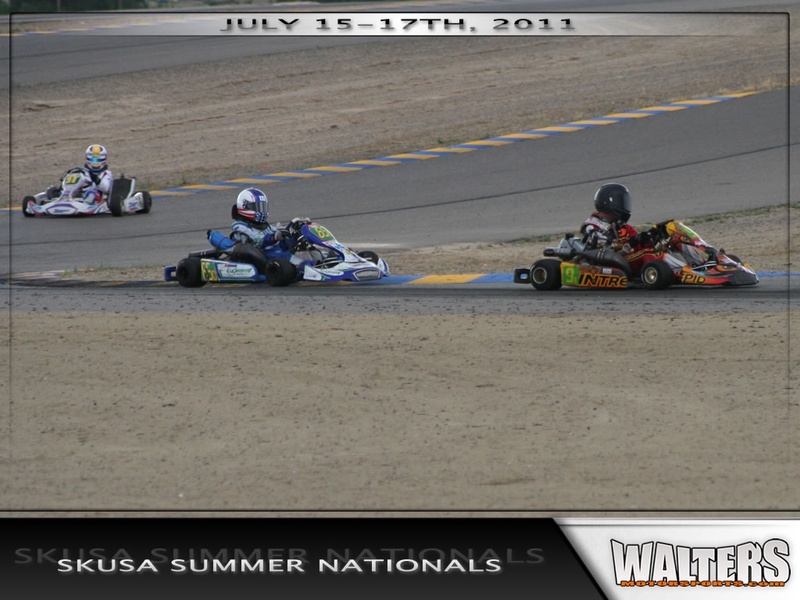 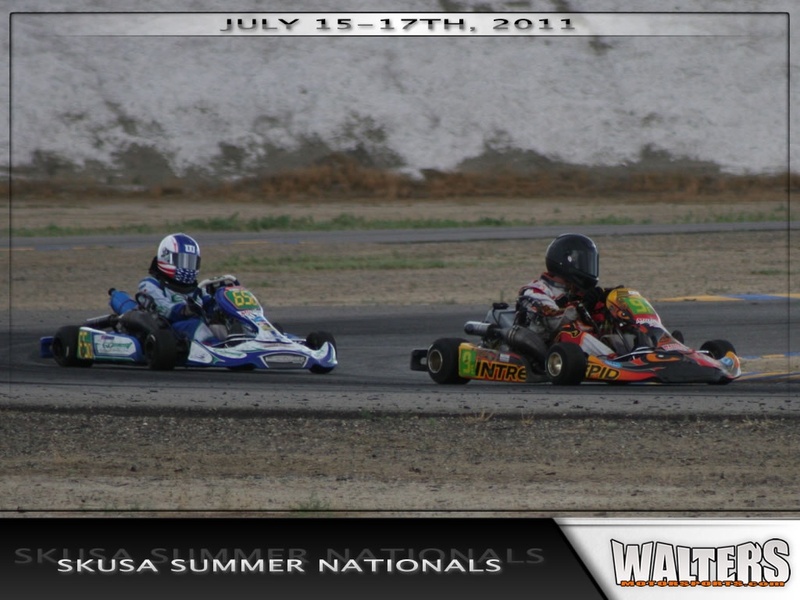 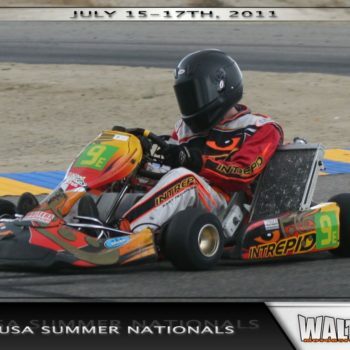 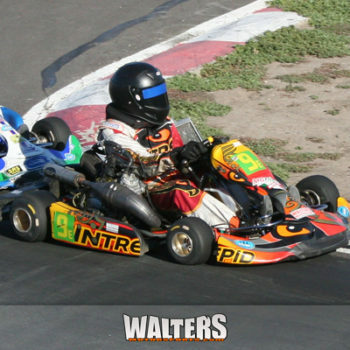 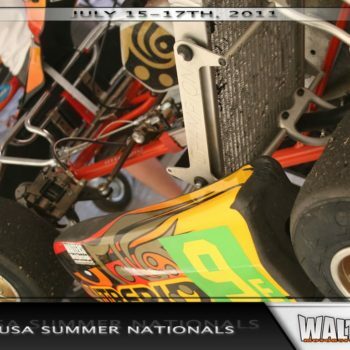 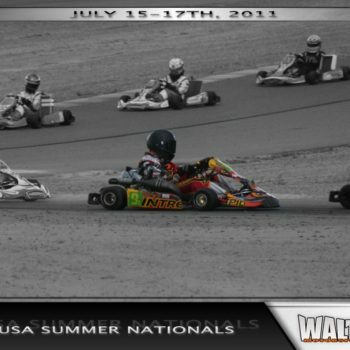 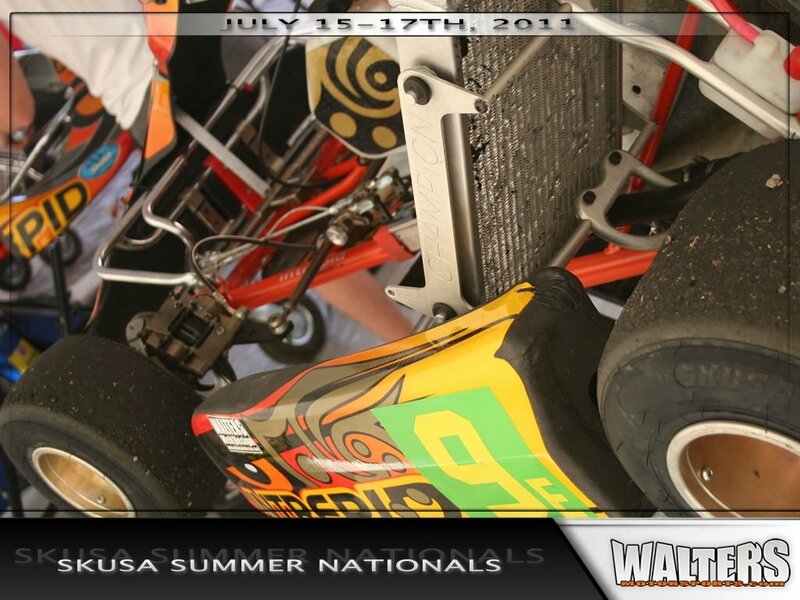 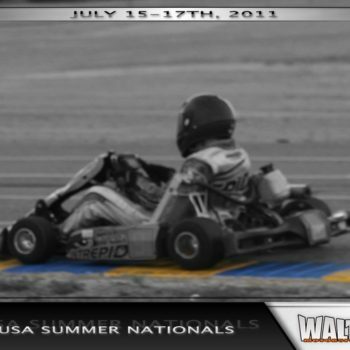 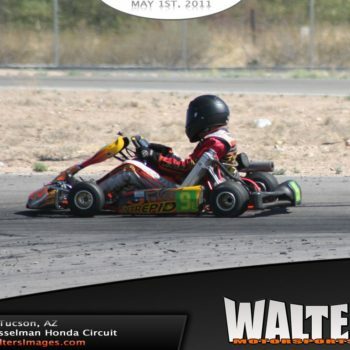 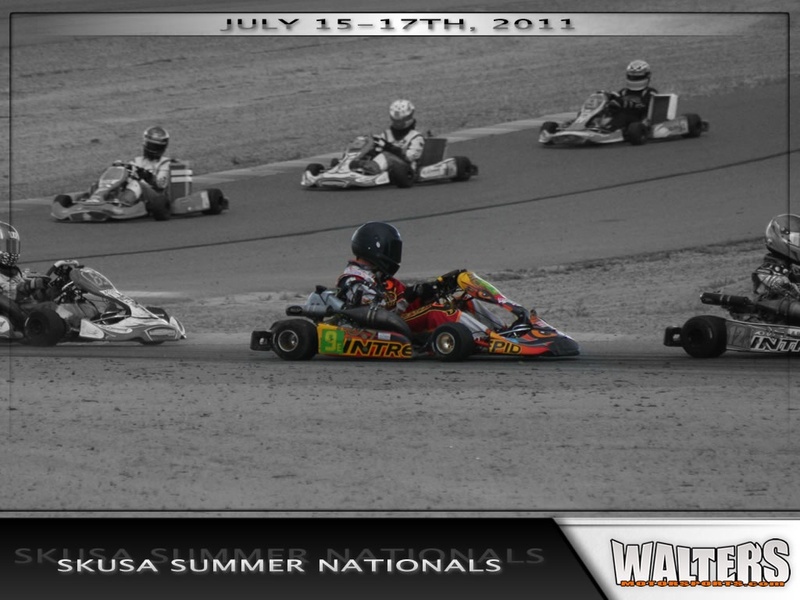 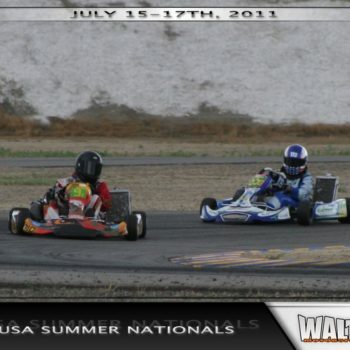 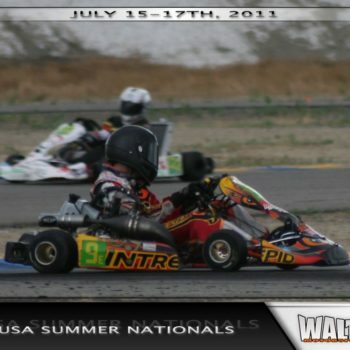 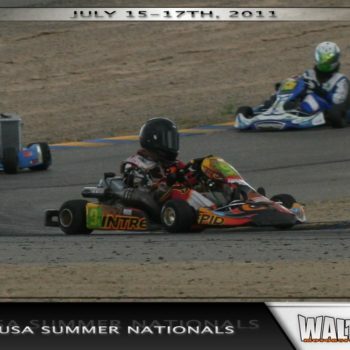 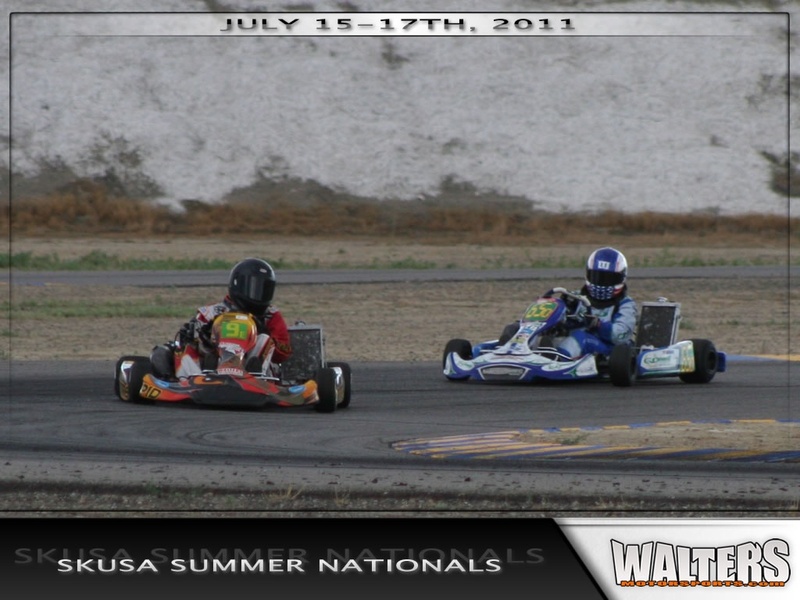 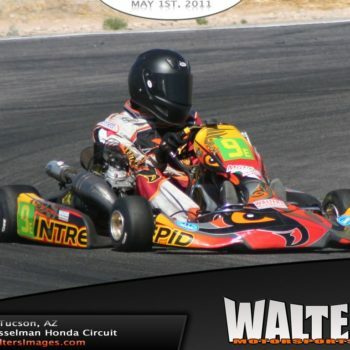 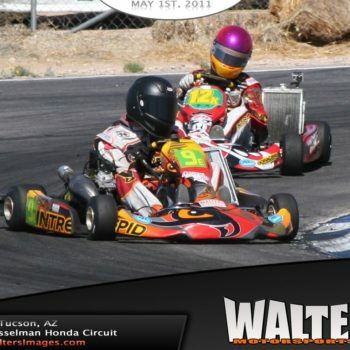 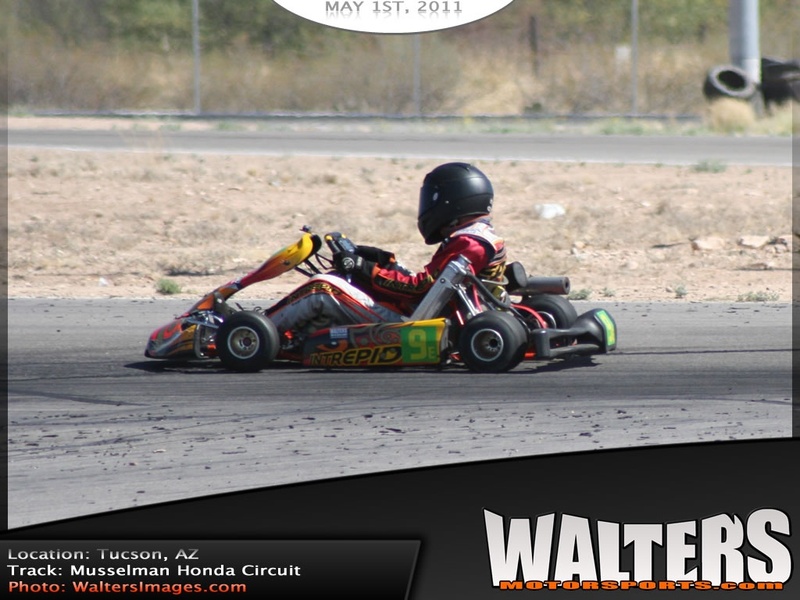 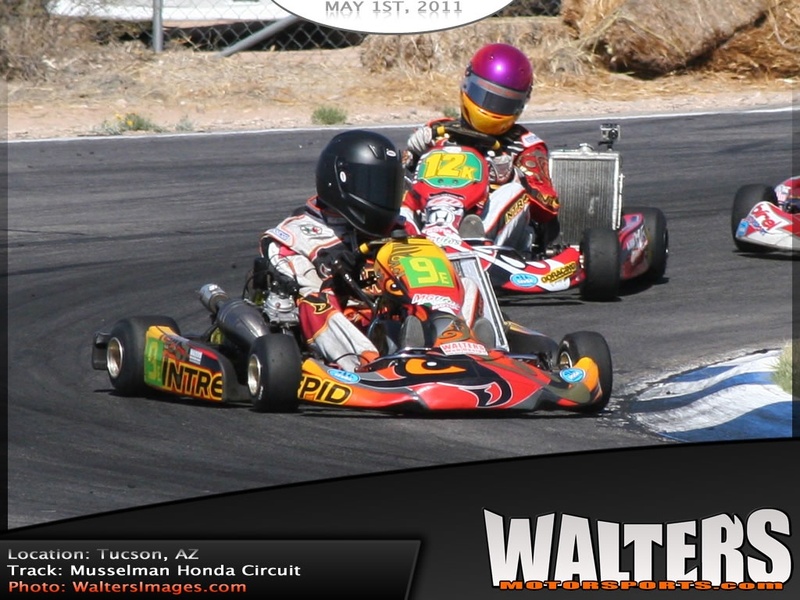 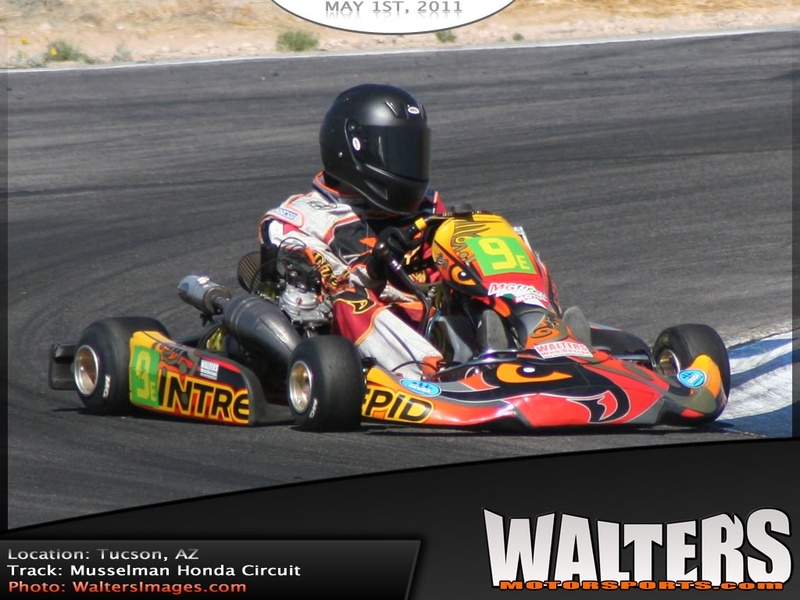 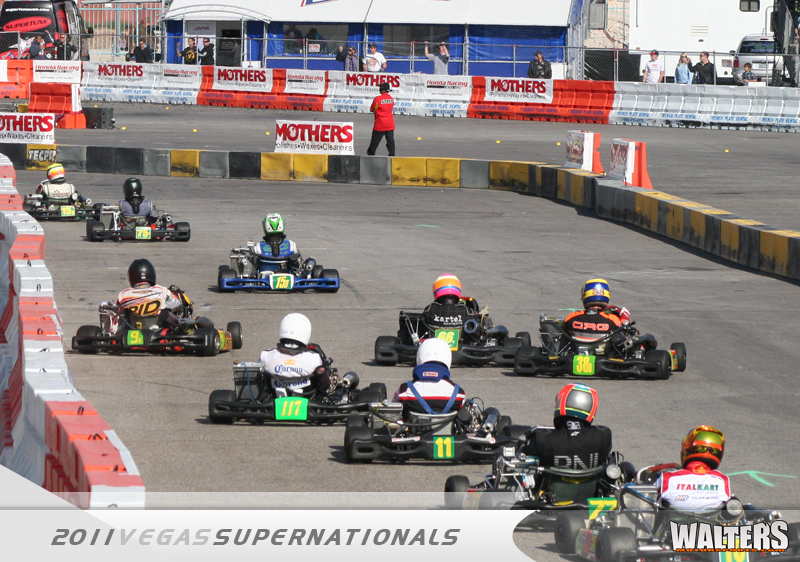 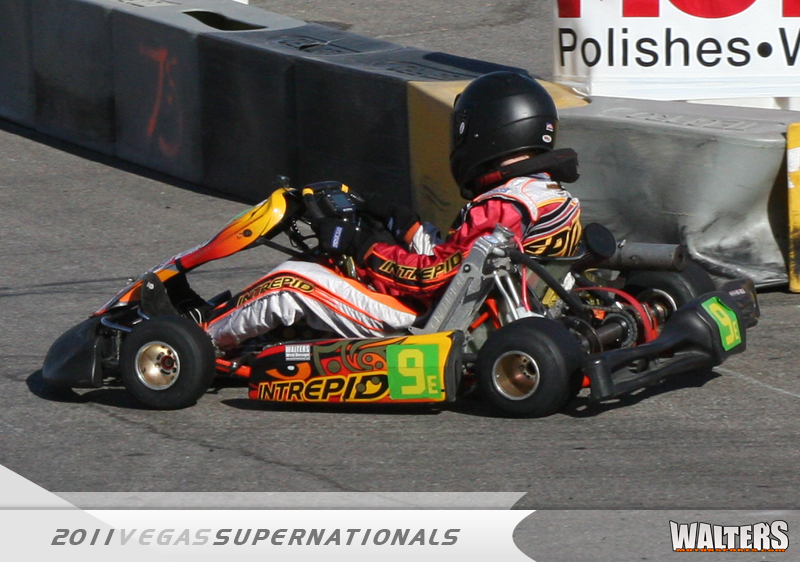 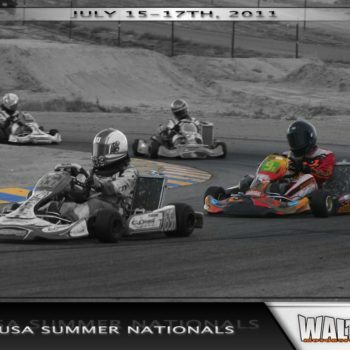 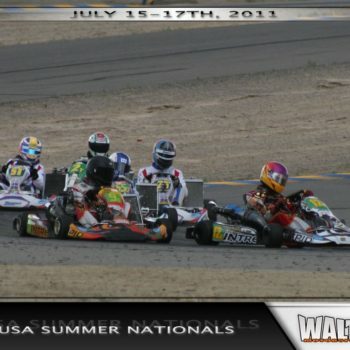 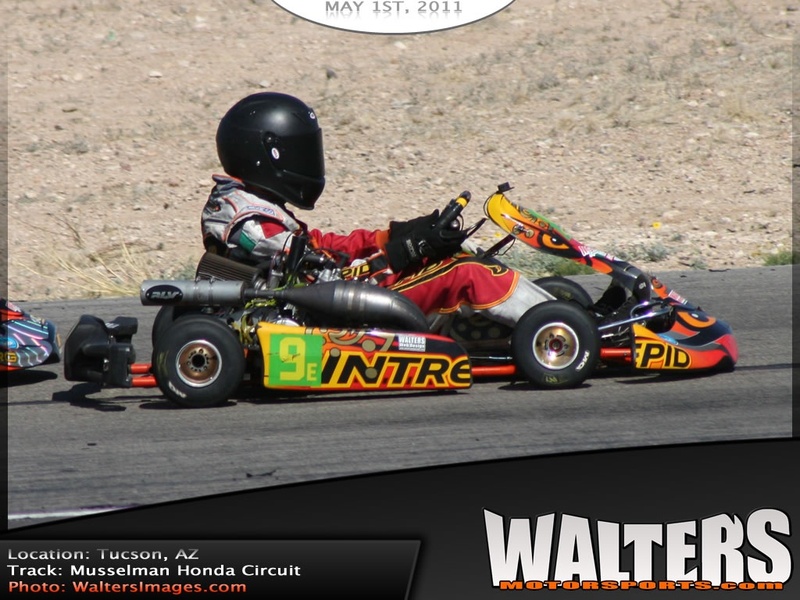 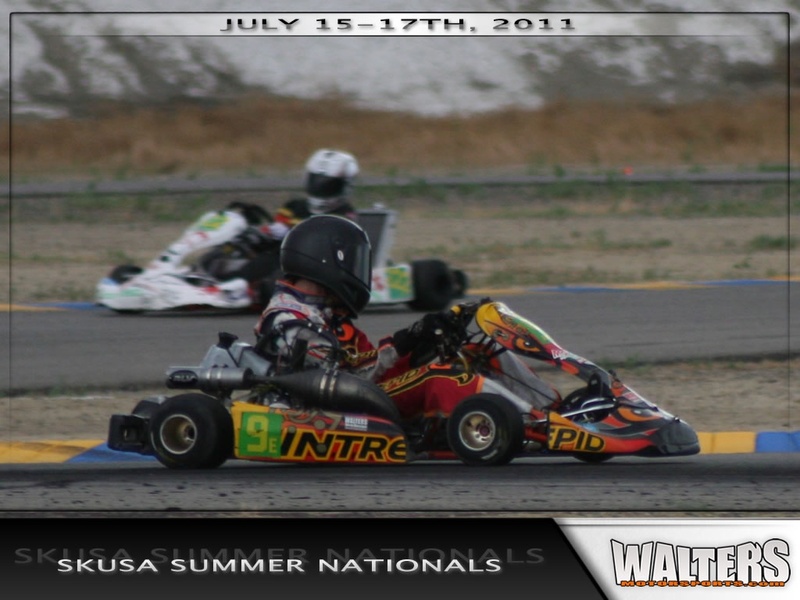 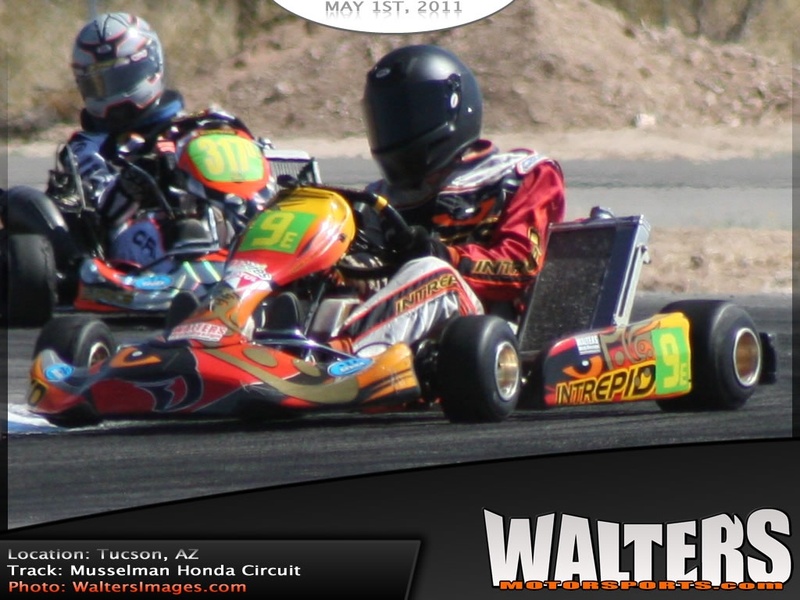 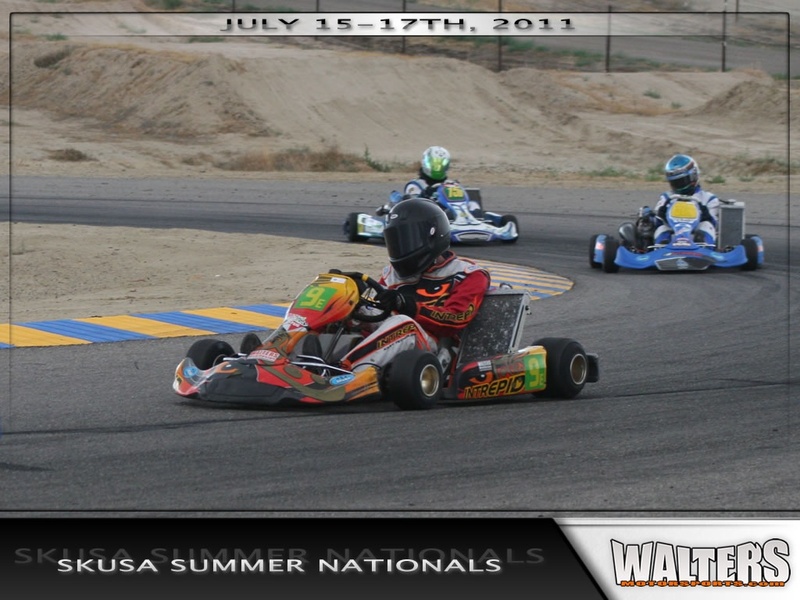 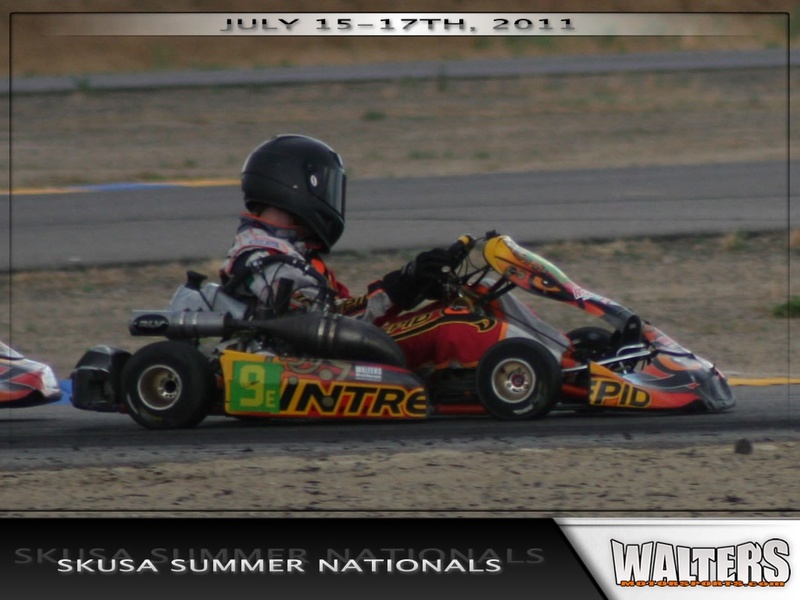 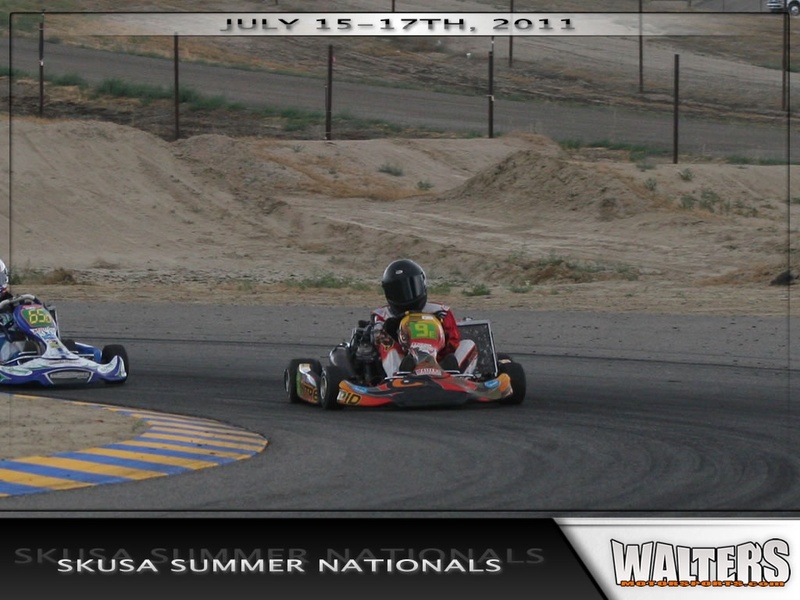 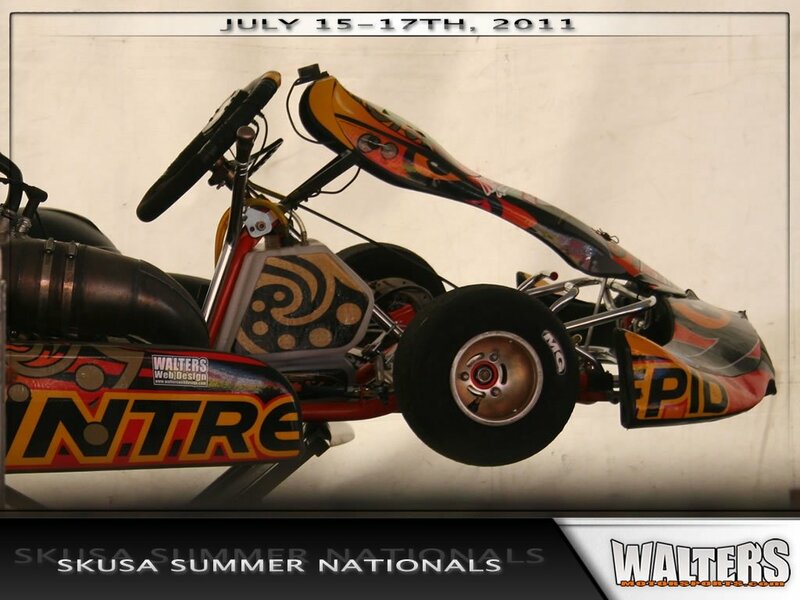 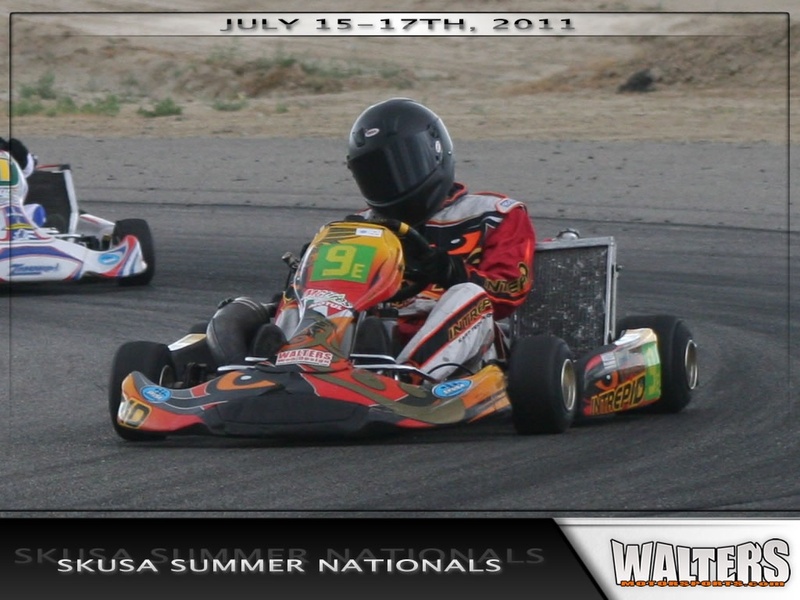 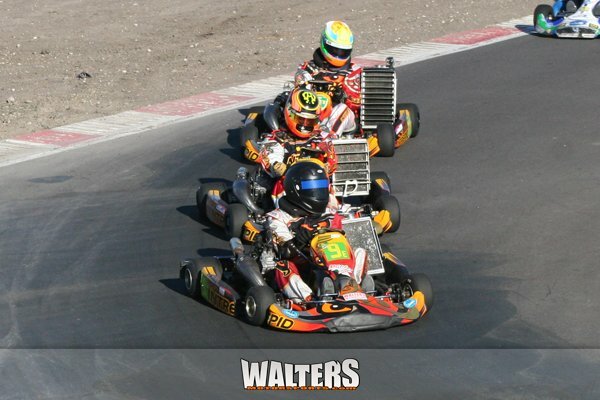 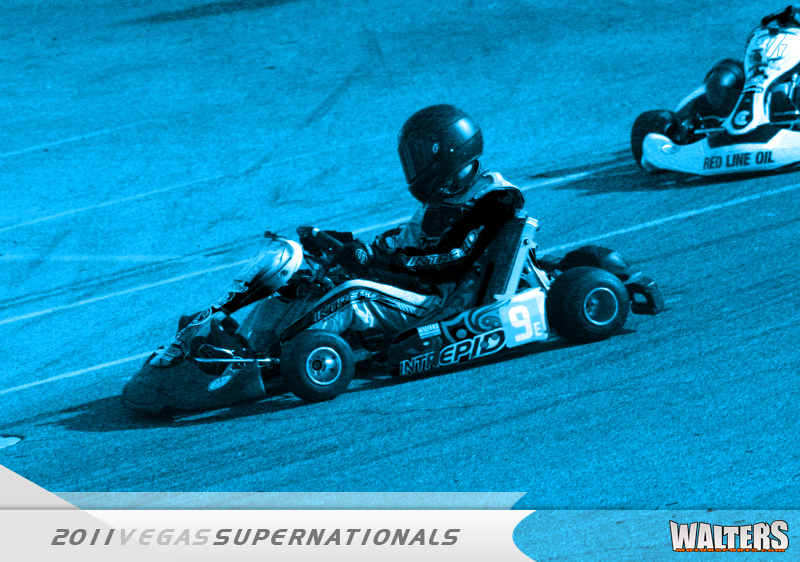 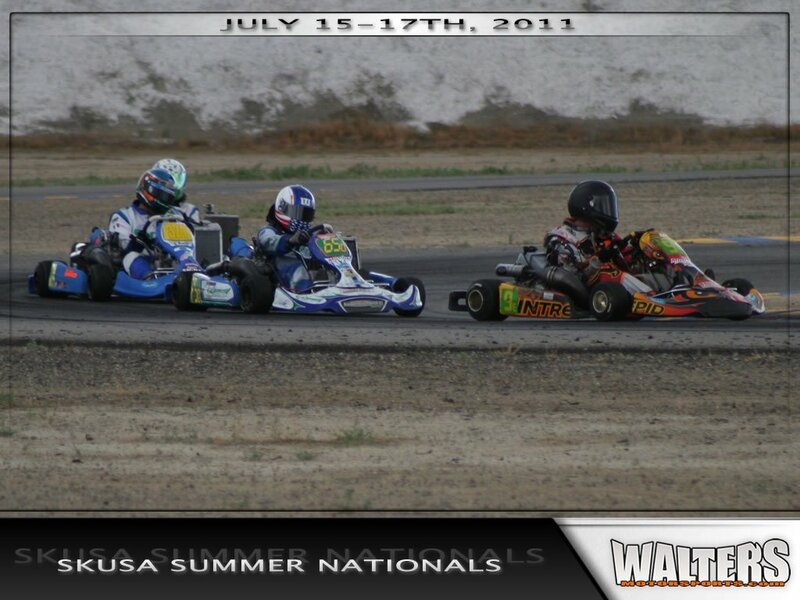 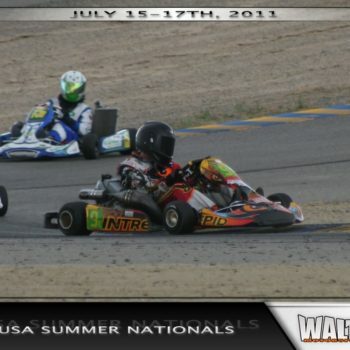 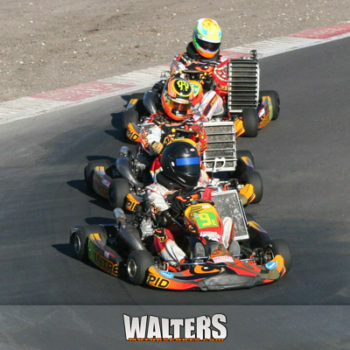 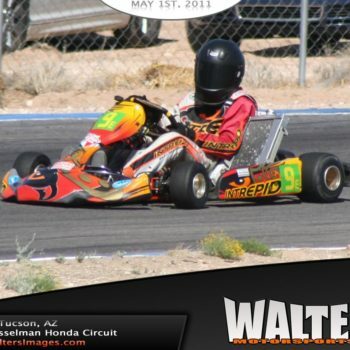 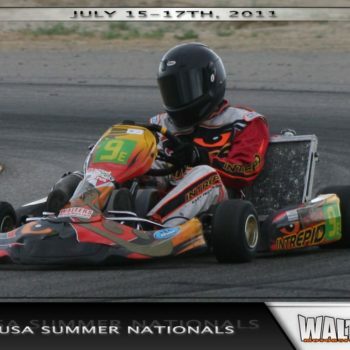 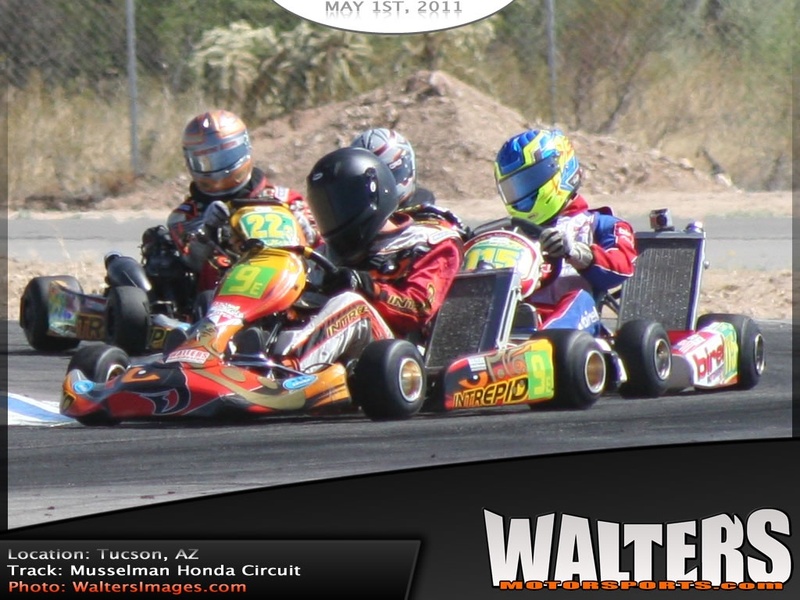 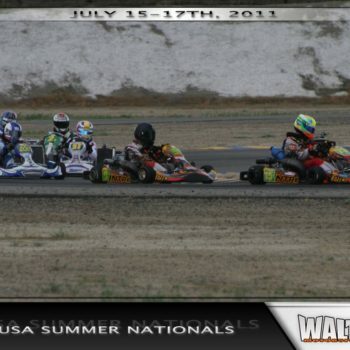 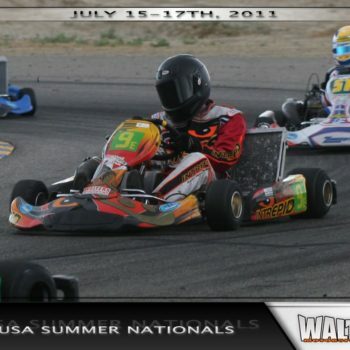 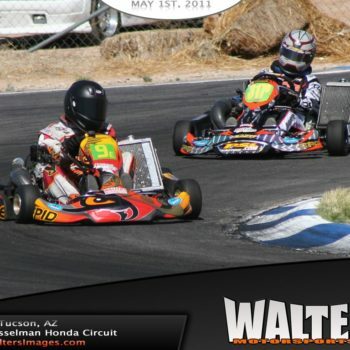 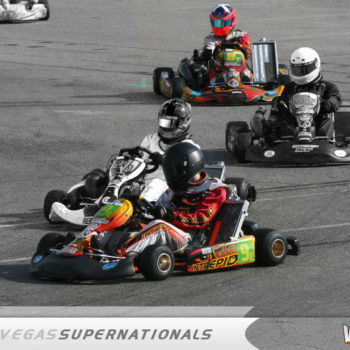 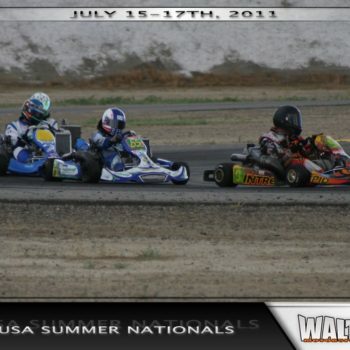 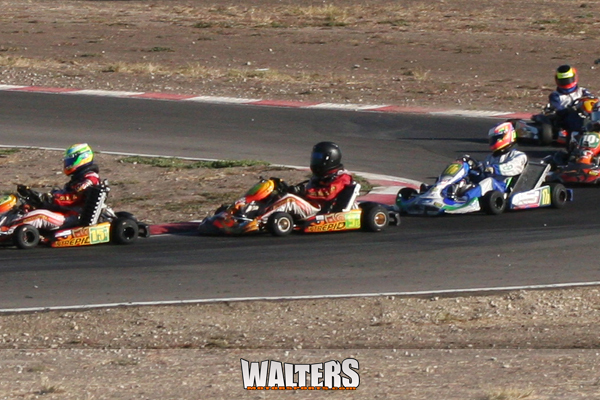 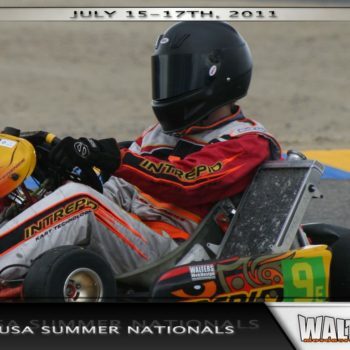 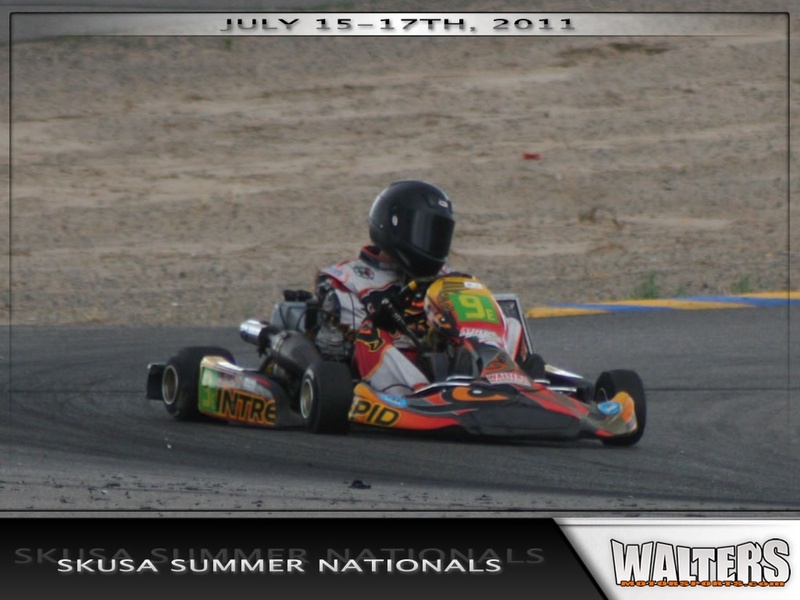 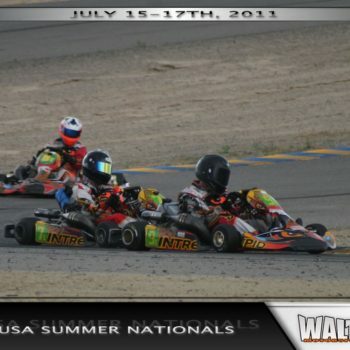 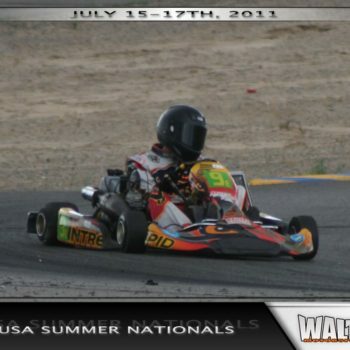 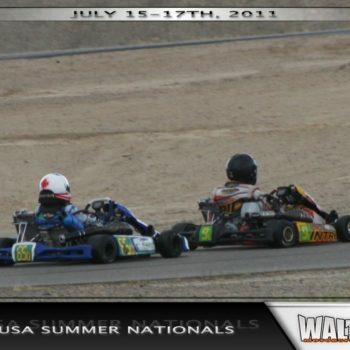 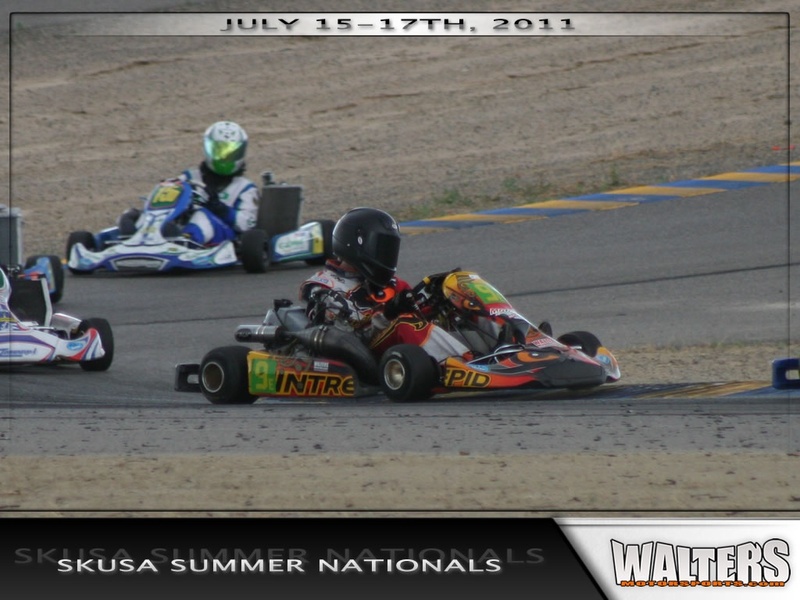 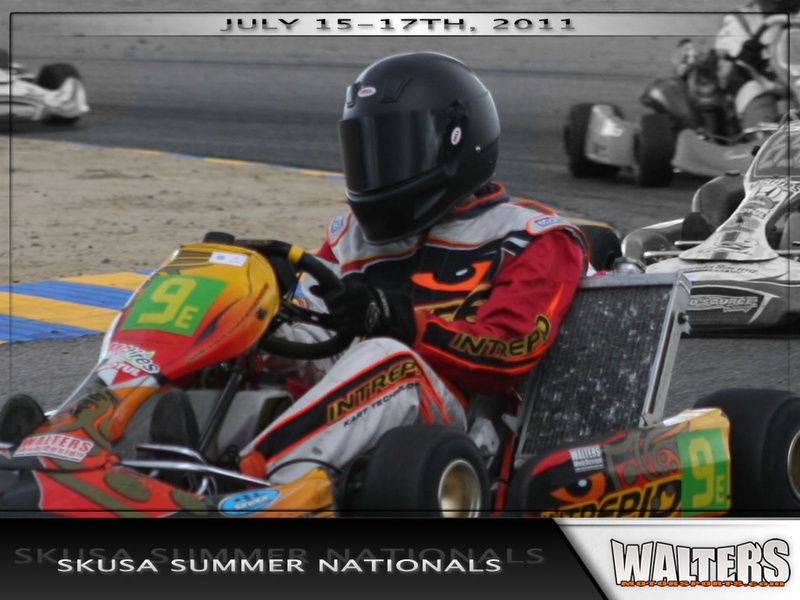 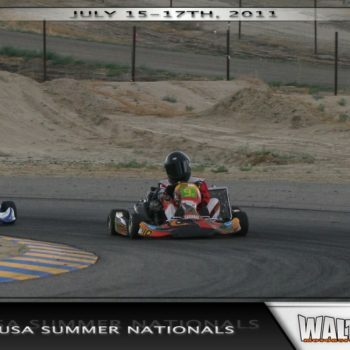 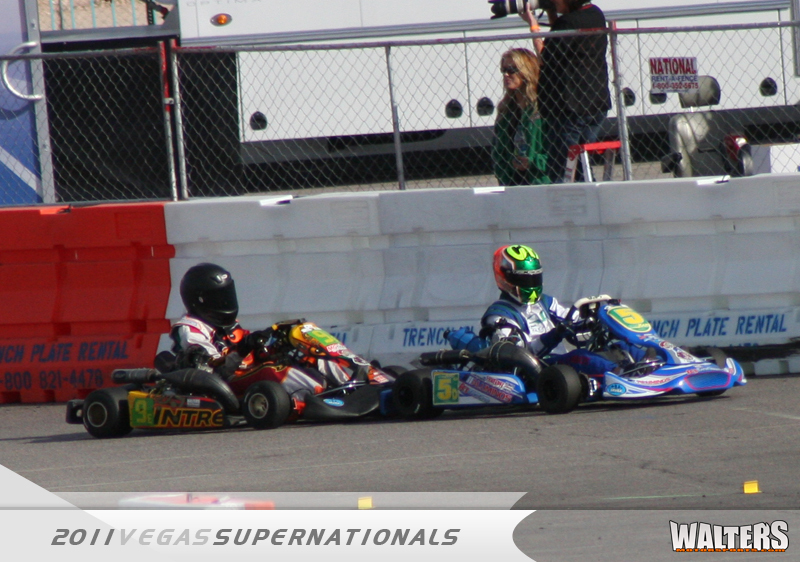 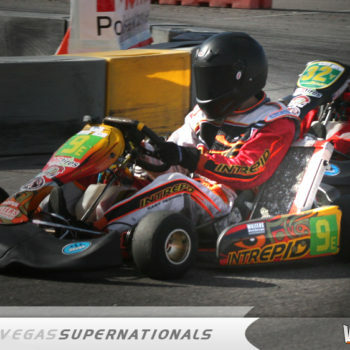 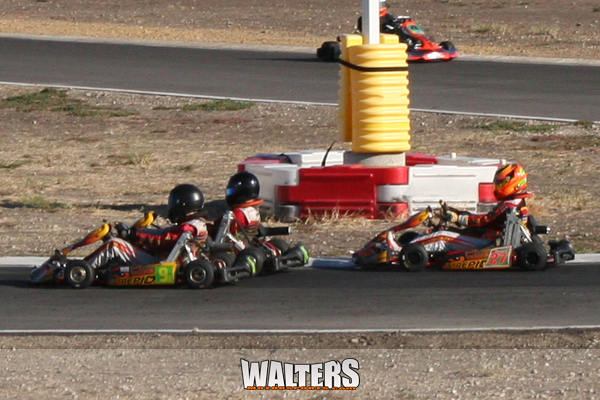 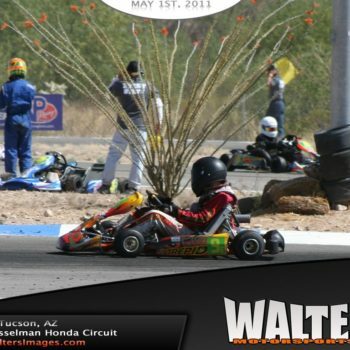 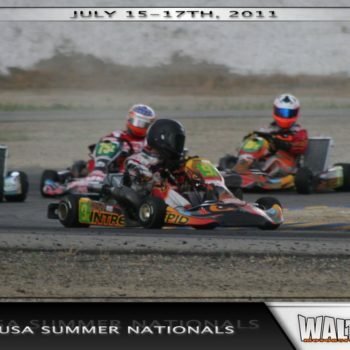 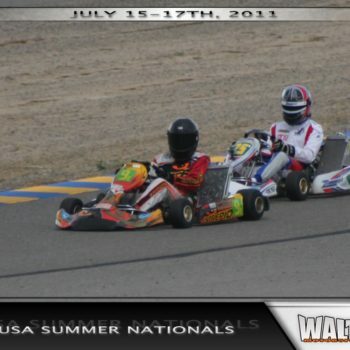 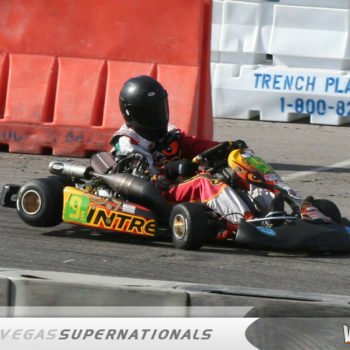 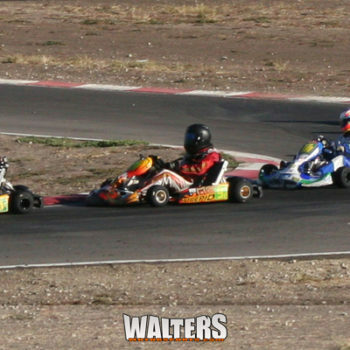 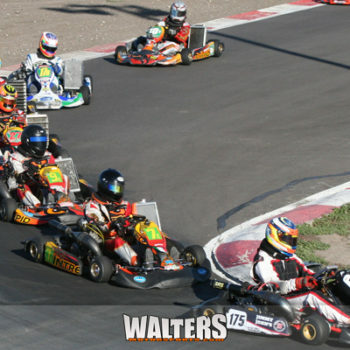 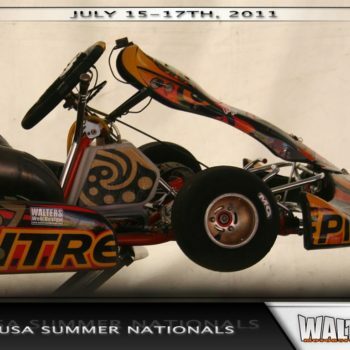 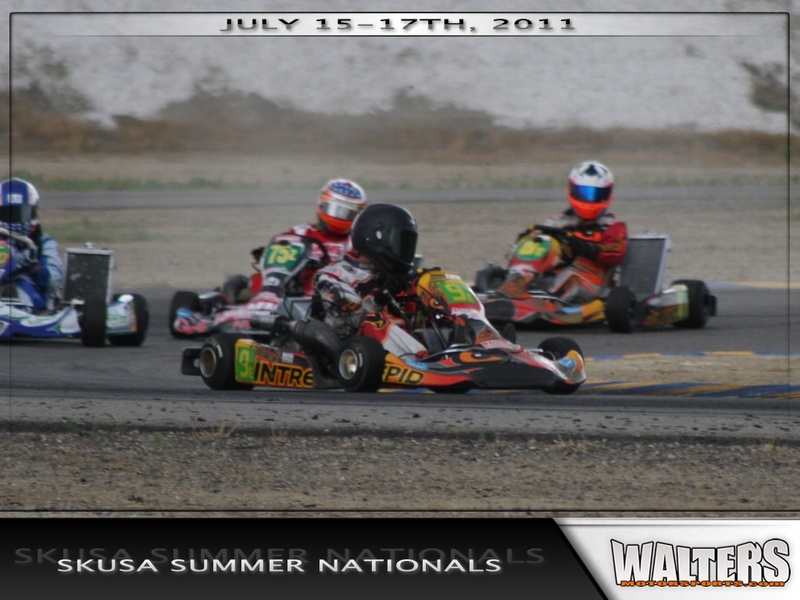 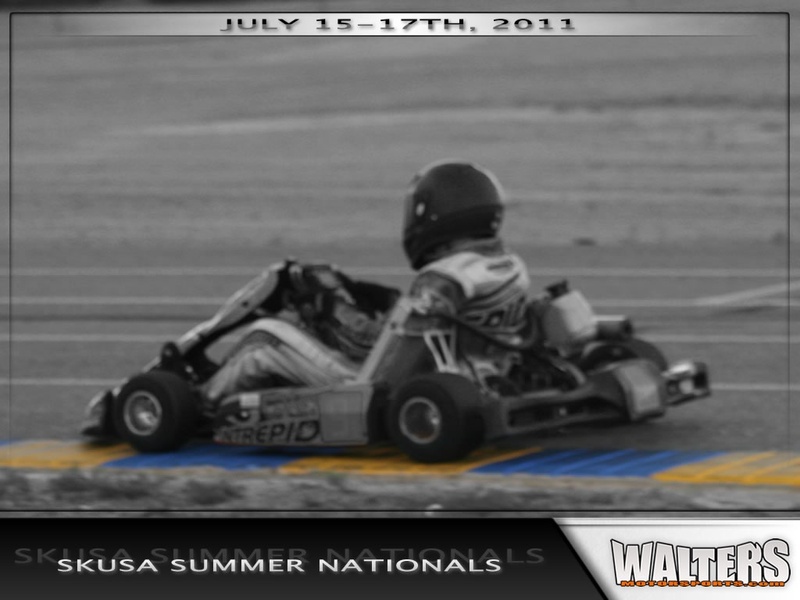 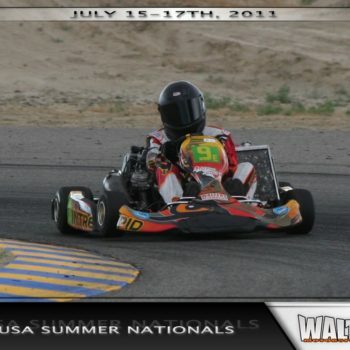 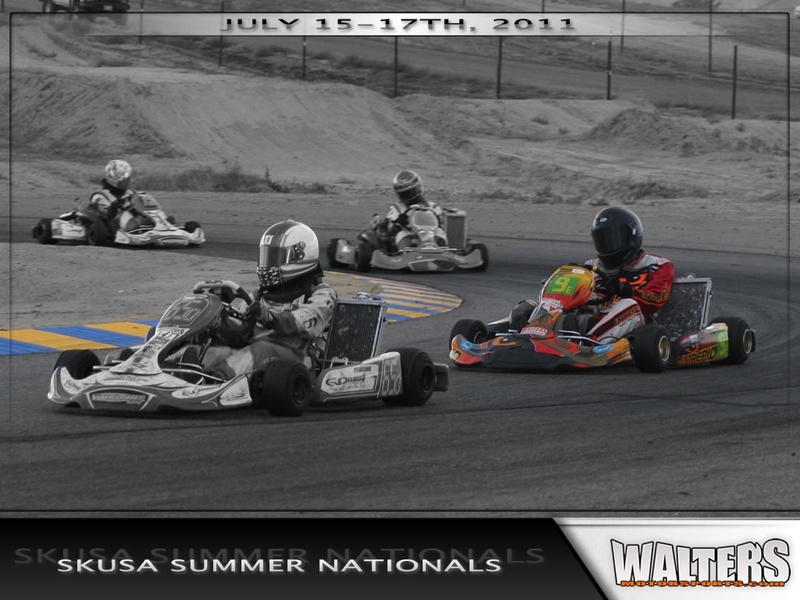 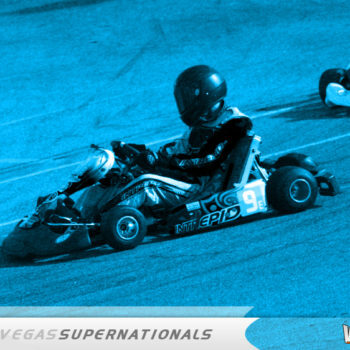 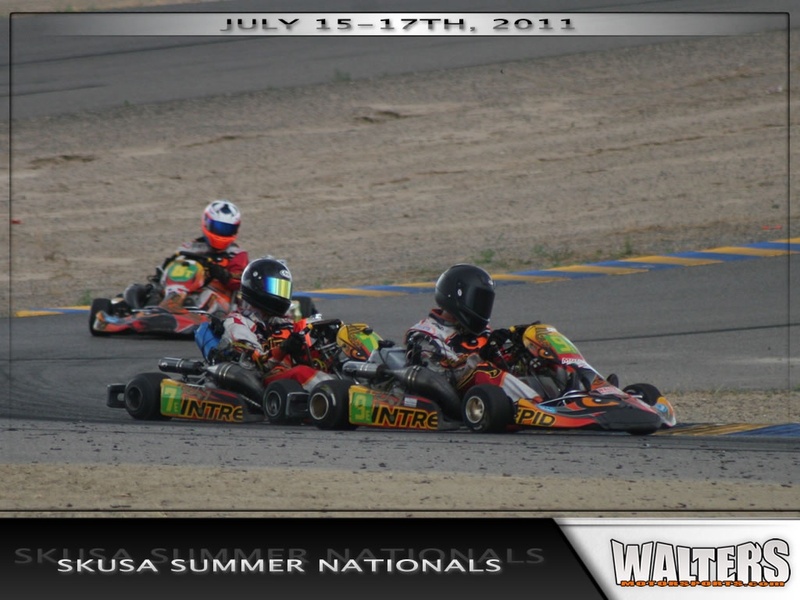 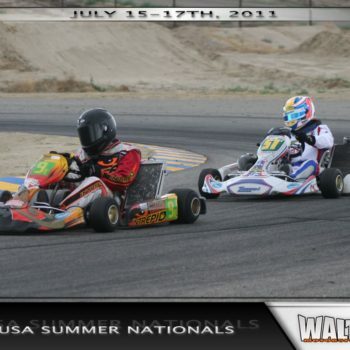 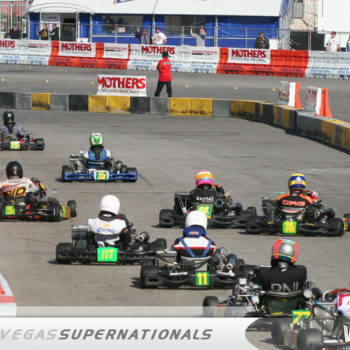 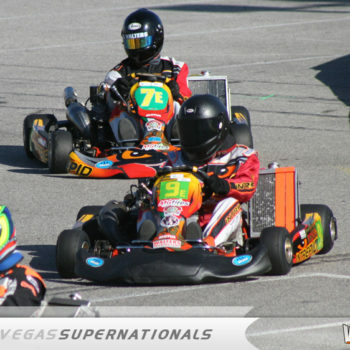 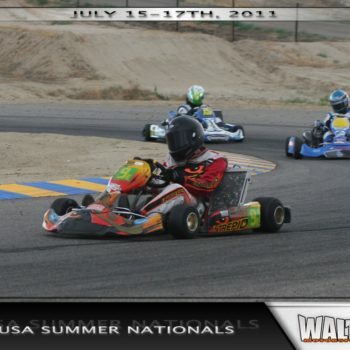 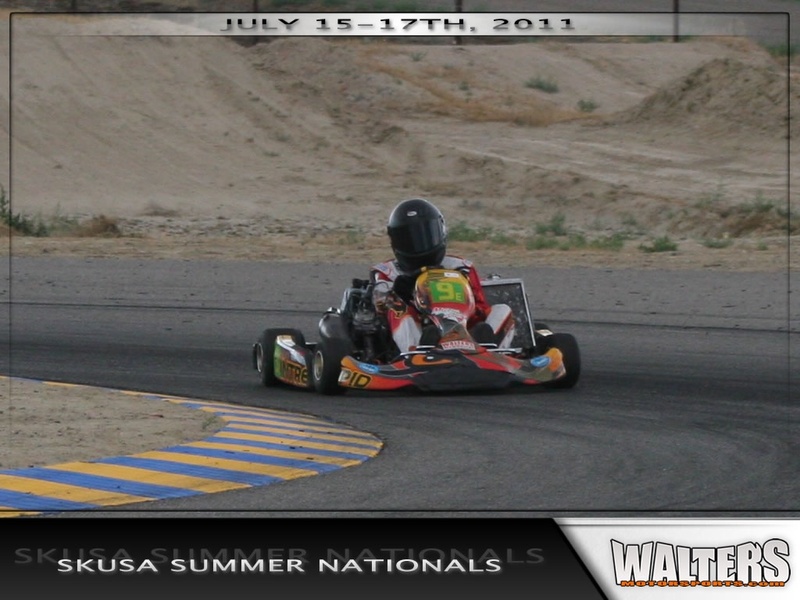 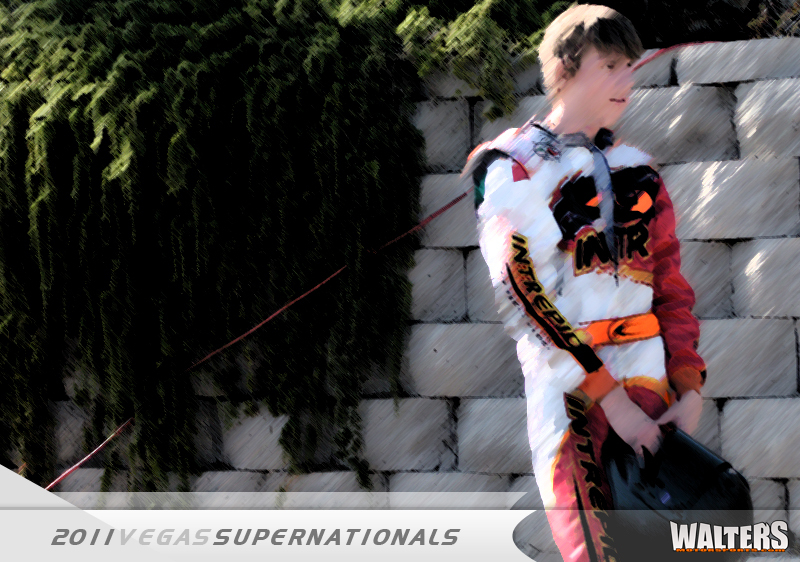 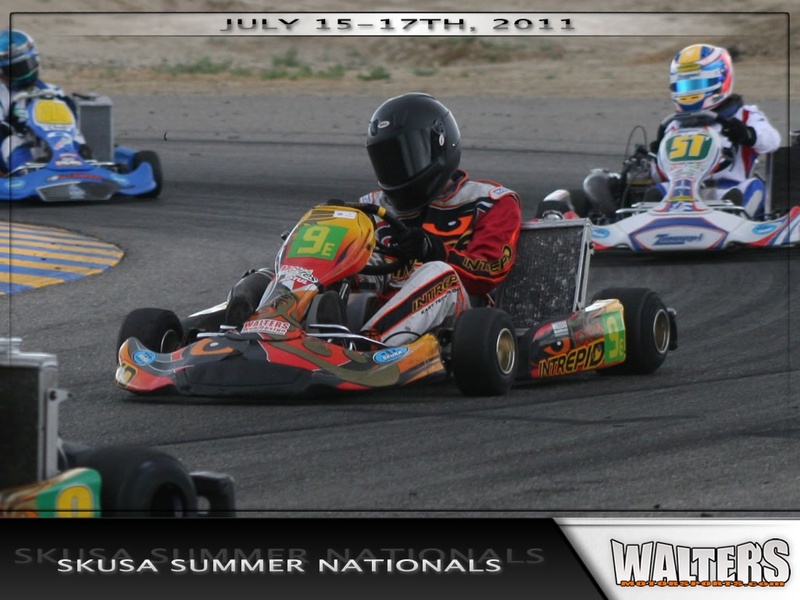 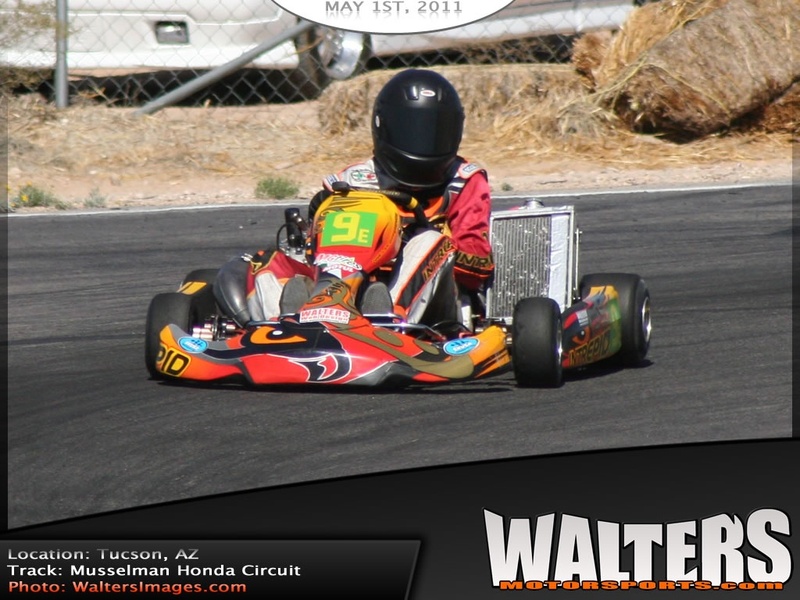 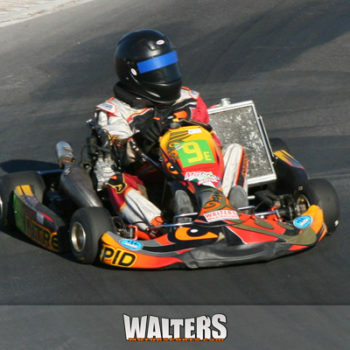 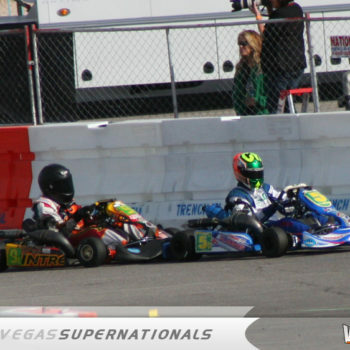 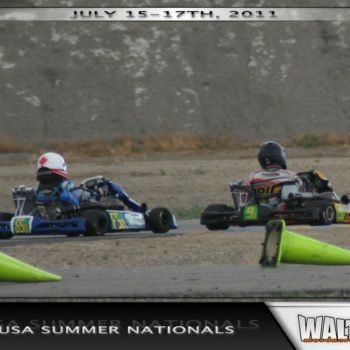 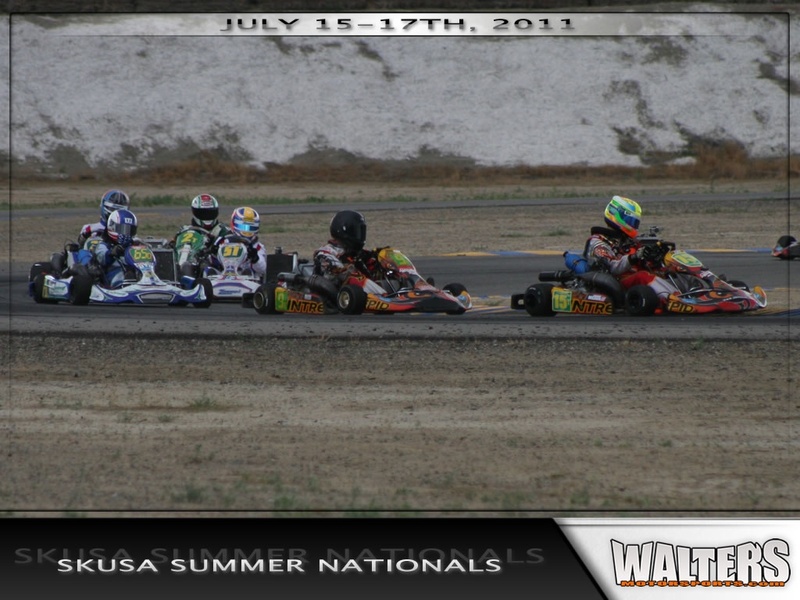 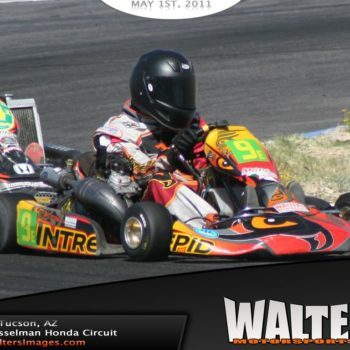 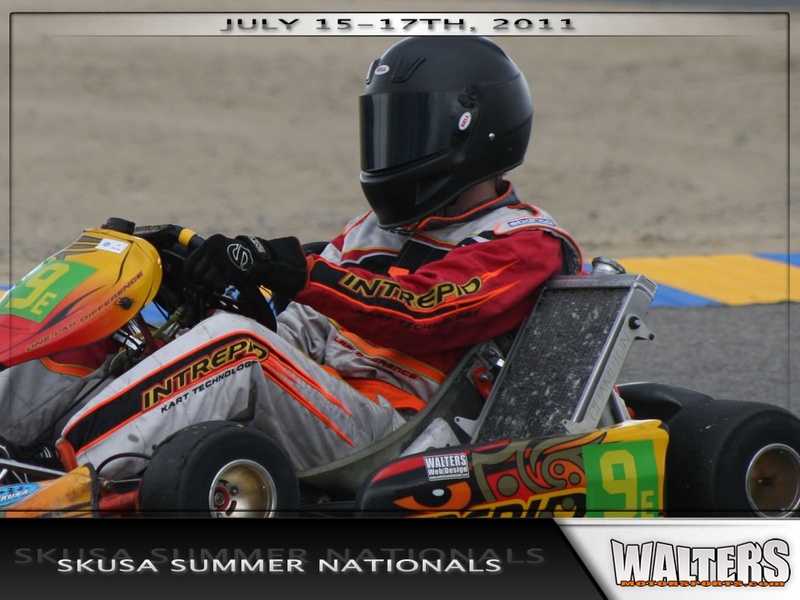 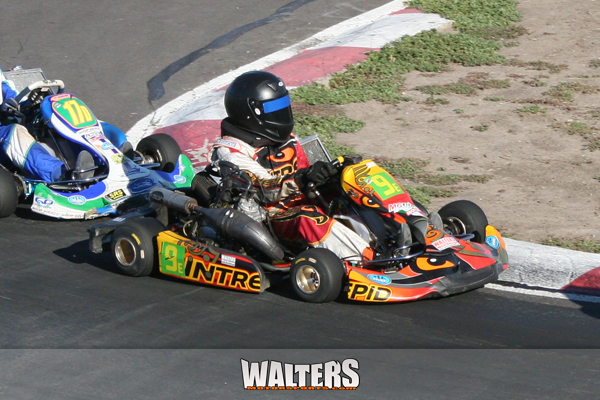 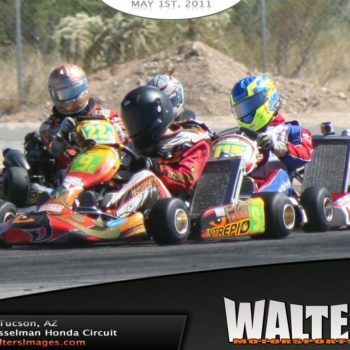 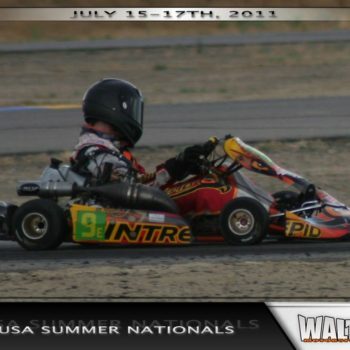 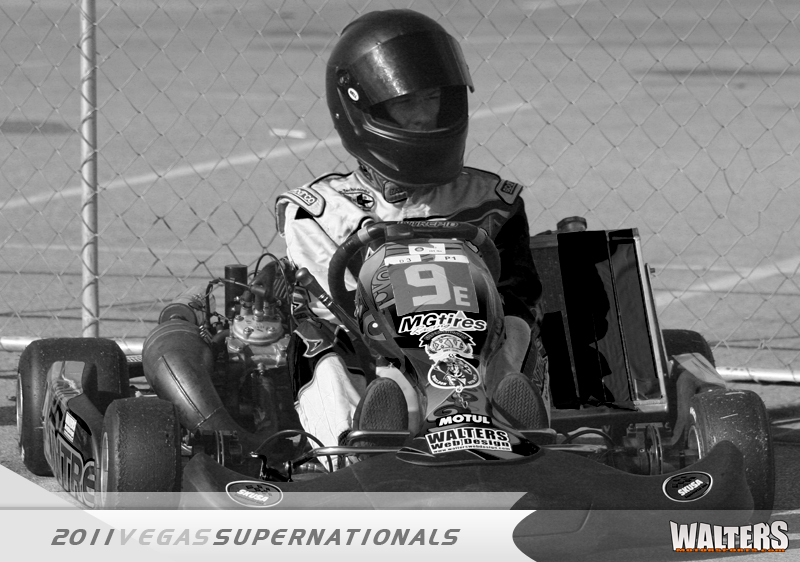 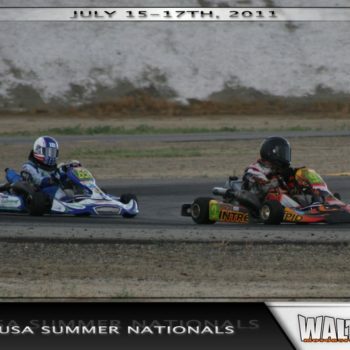 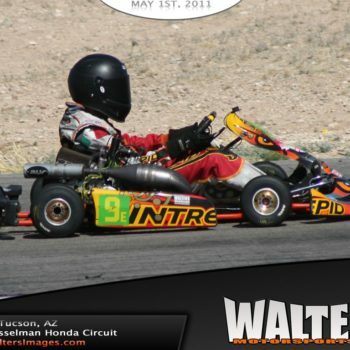 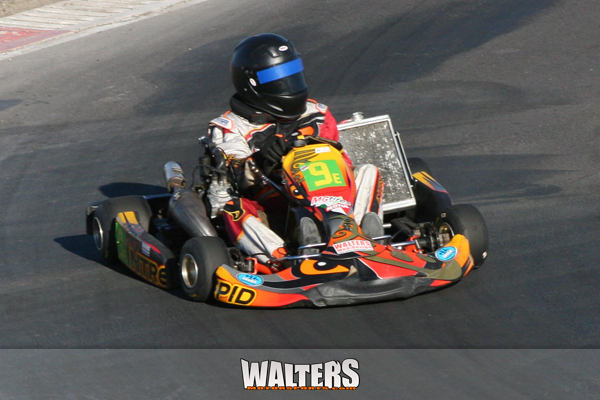 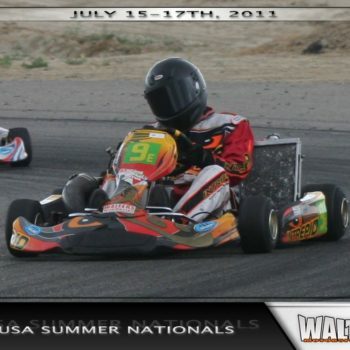 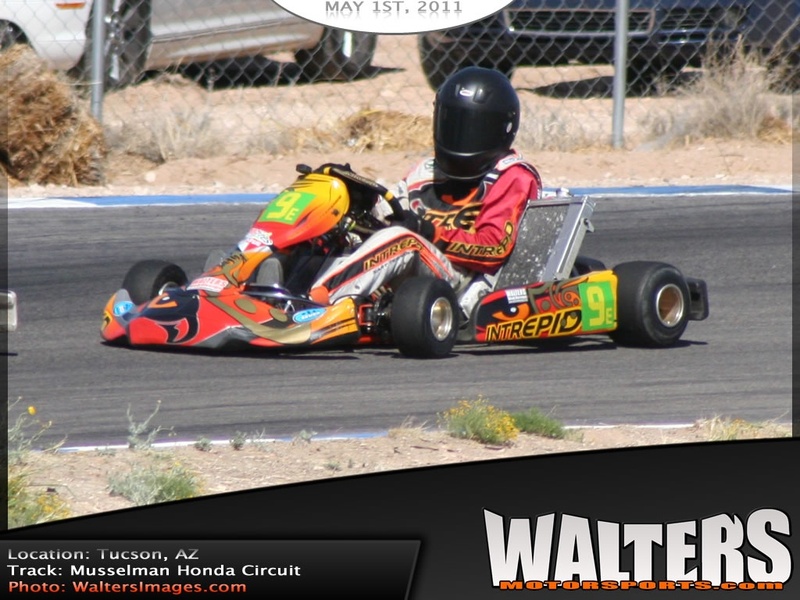 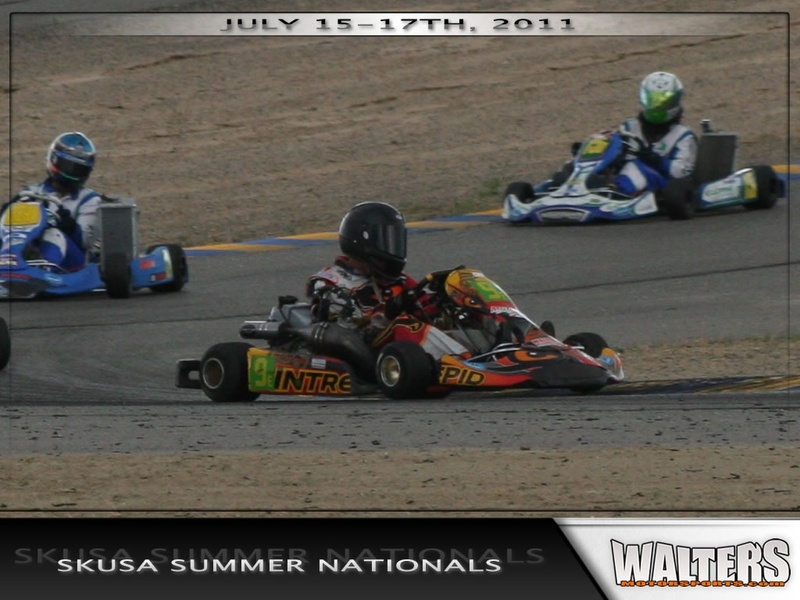 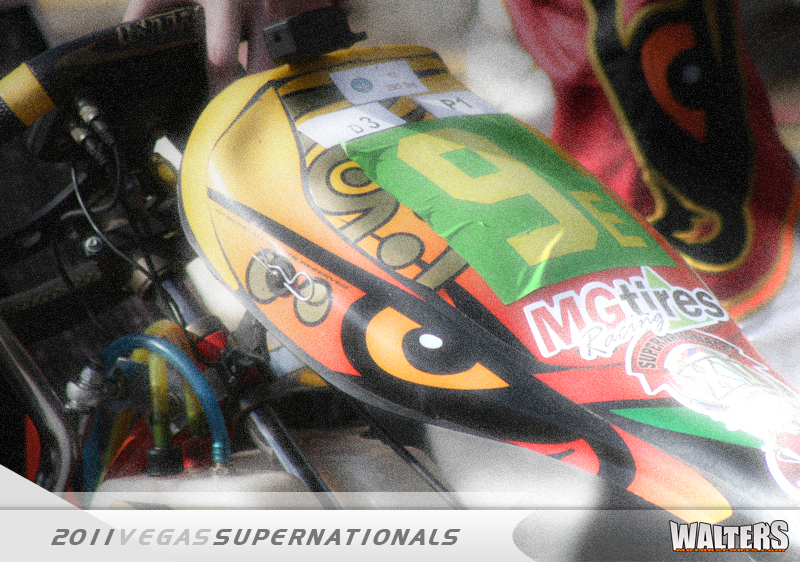 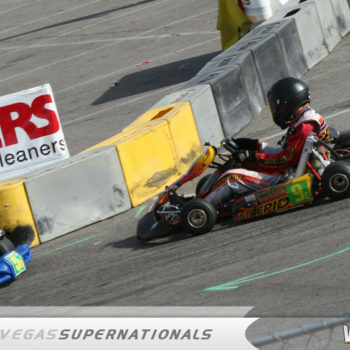 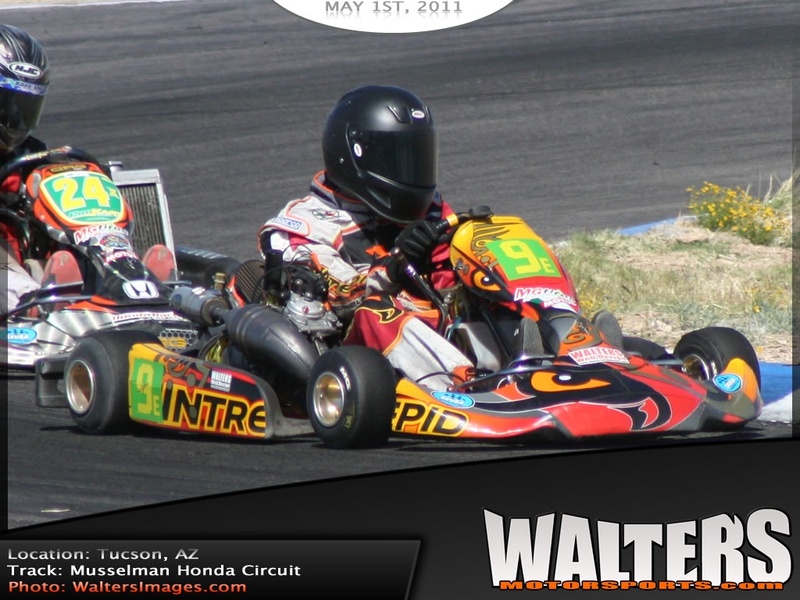 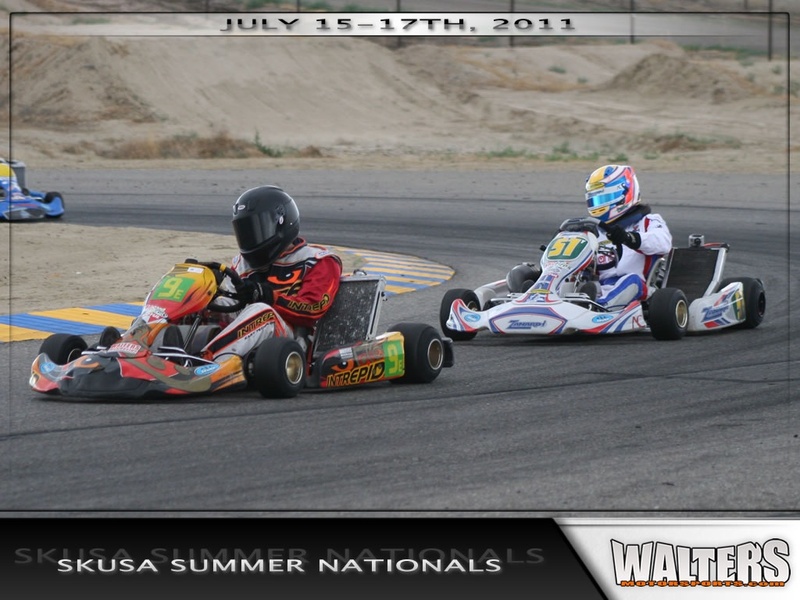 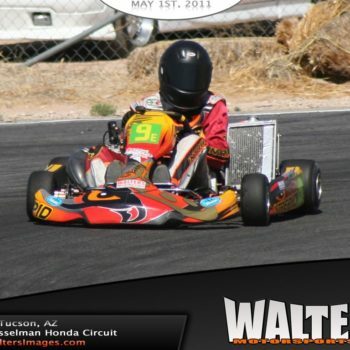 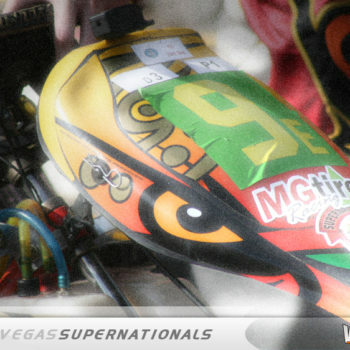 After grabbing our first national podium Walters Motorsports is looking forward to the remainder of the karting season. 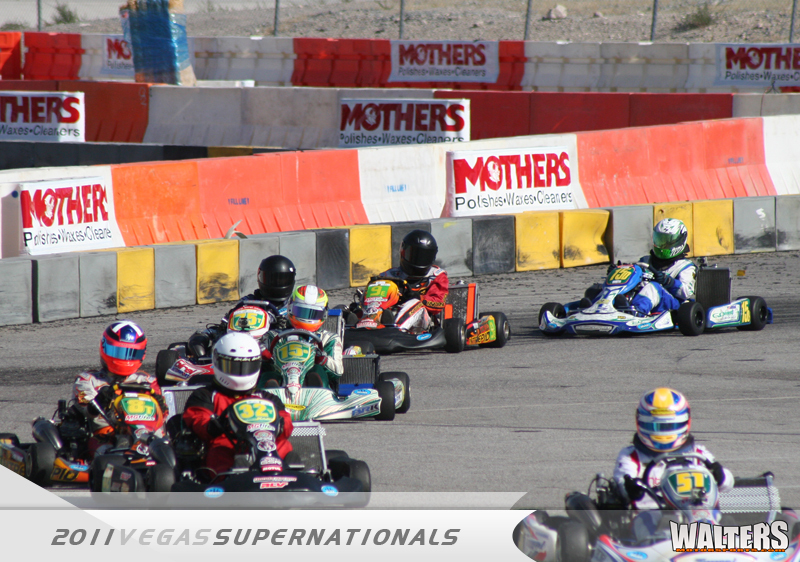 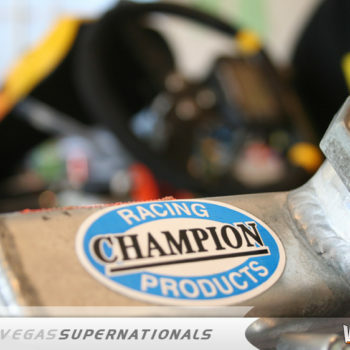 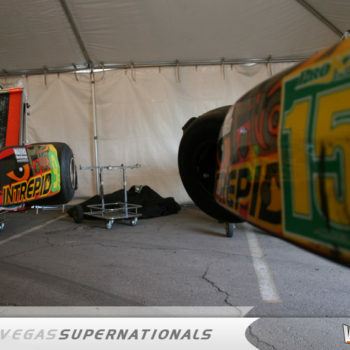 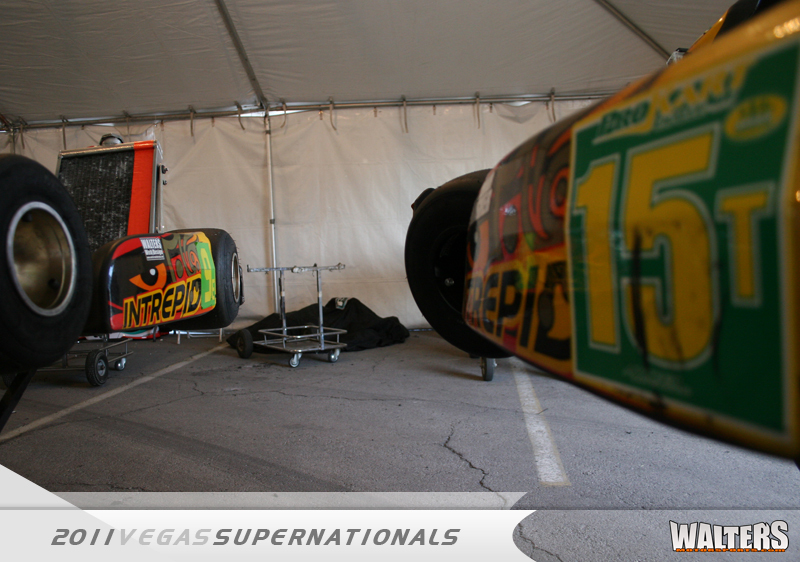 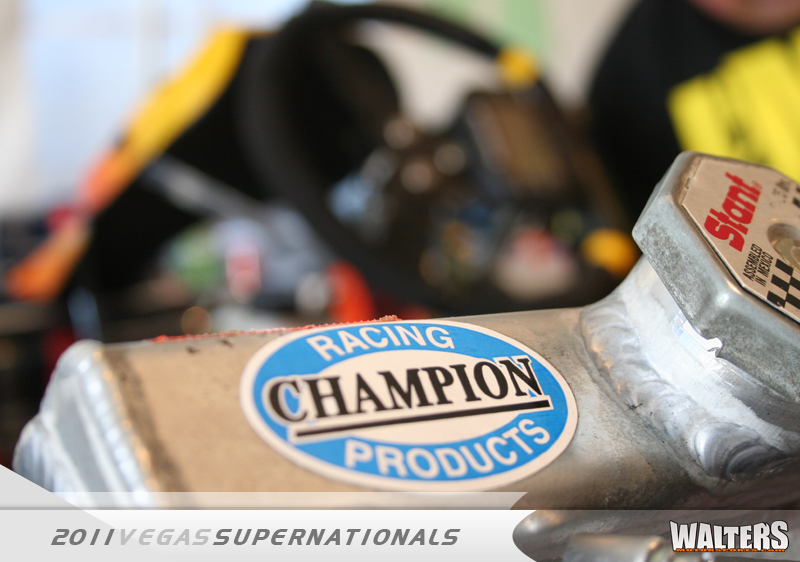 Both Champion Racing Intrepid drivers have plans to run for SKUSA championship points in the S2 class where the season concludes in Las Vegas. 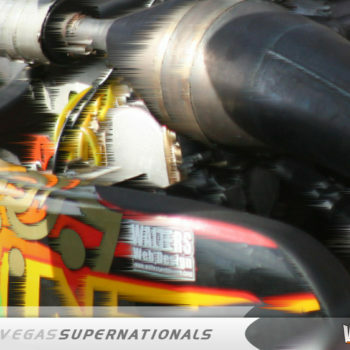 Be sure to stay tuned to the new team website throughout the racing season to keep up with race results, event photos and videos. 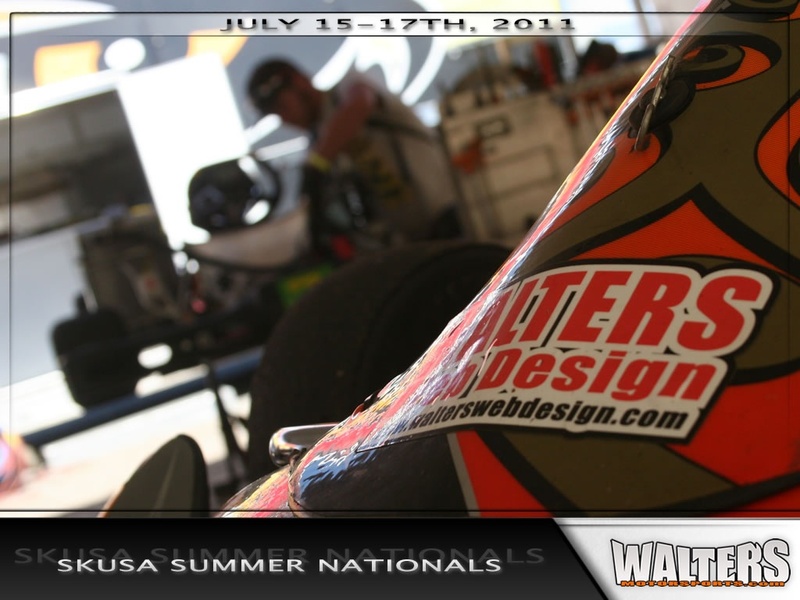 Walters Motorsports would like to thank all our business partners for their continued support to the team and racing in general. 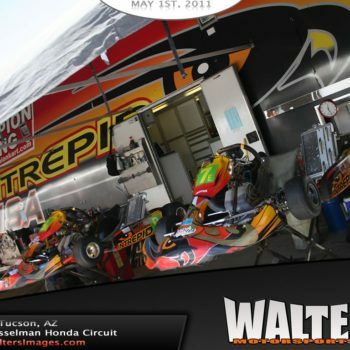 These include; Caribbean Creme, Champion Racing, Intrepid Kart Technology, Leading Edge Motorsport, WaltersWebDesign.com and WaltersImages.com. 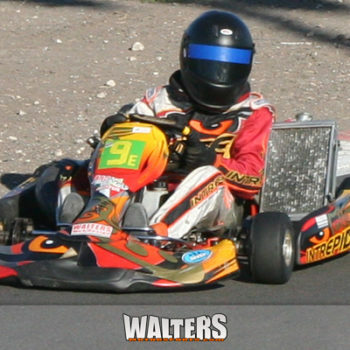 For more information on Walters Web Design please visit our website at www.WaltersWebDesign.com Also, please follow us on twitter at www.twitter.com/WaltersWeb and on facebook at www.facebook.com/WaltersWebDesign to receive the latest race team news, photos, videos, results, and website releases. 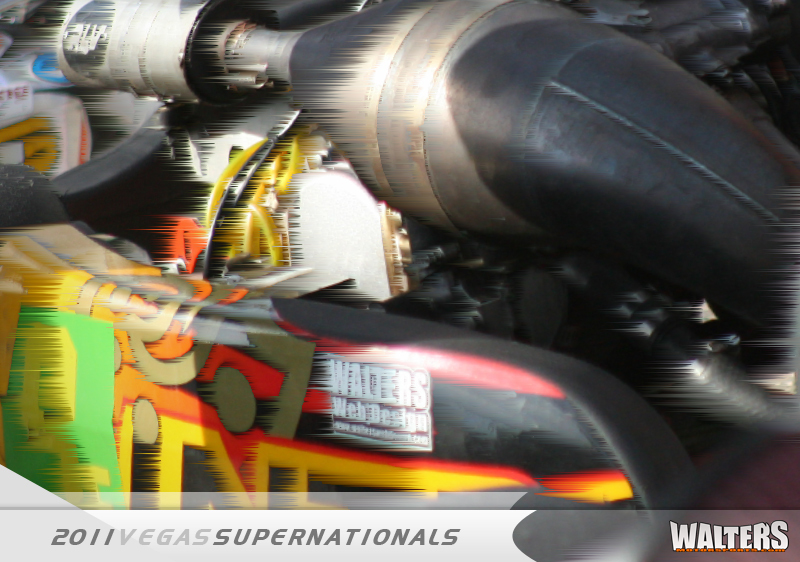 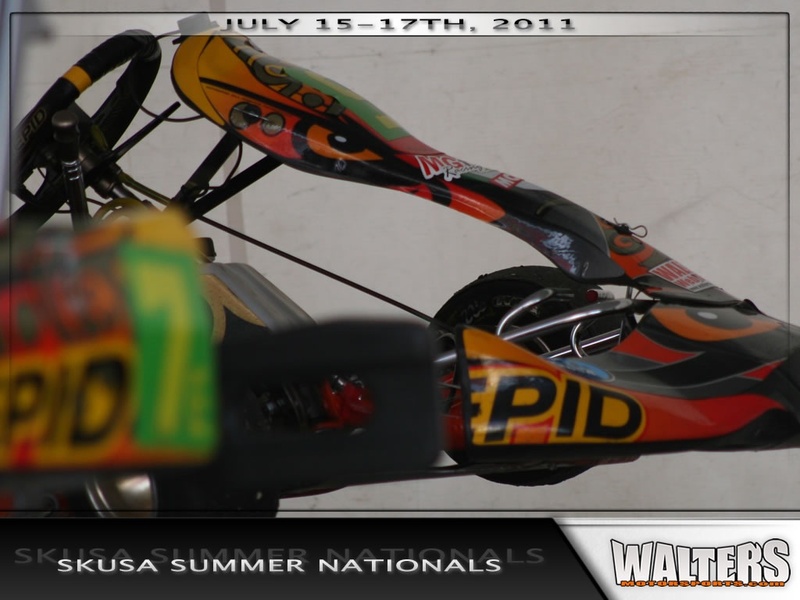 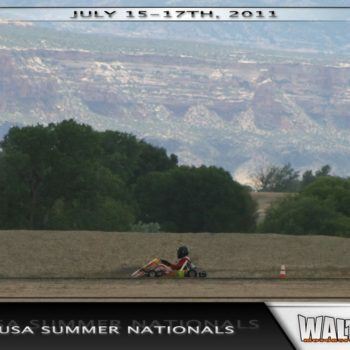 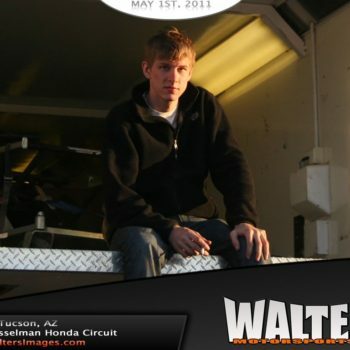 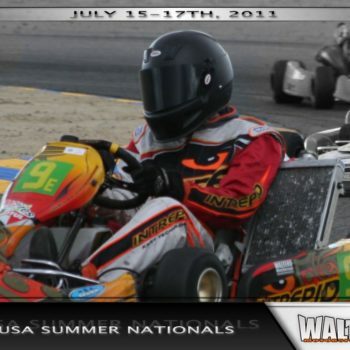 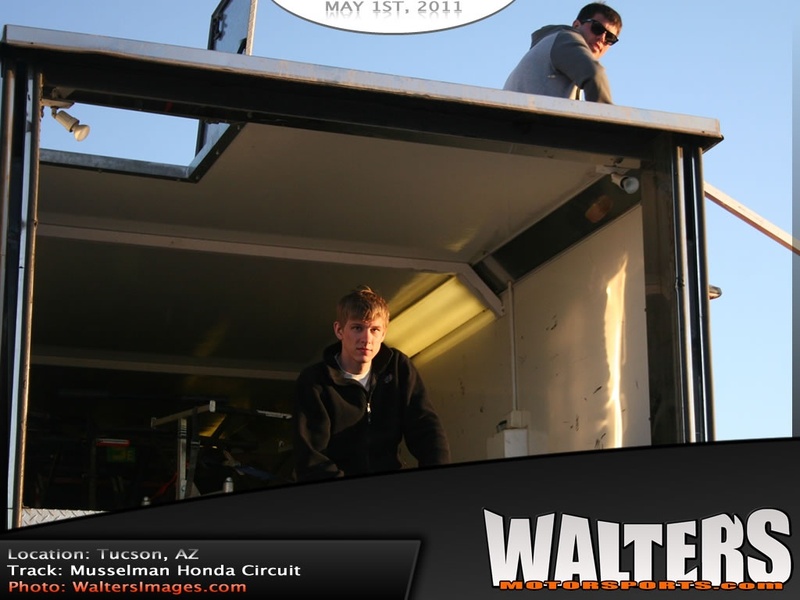 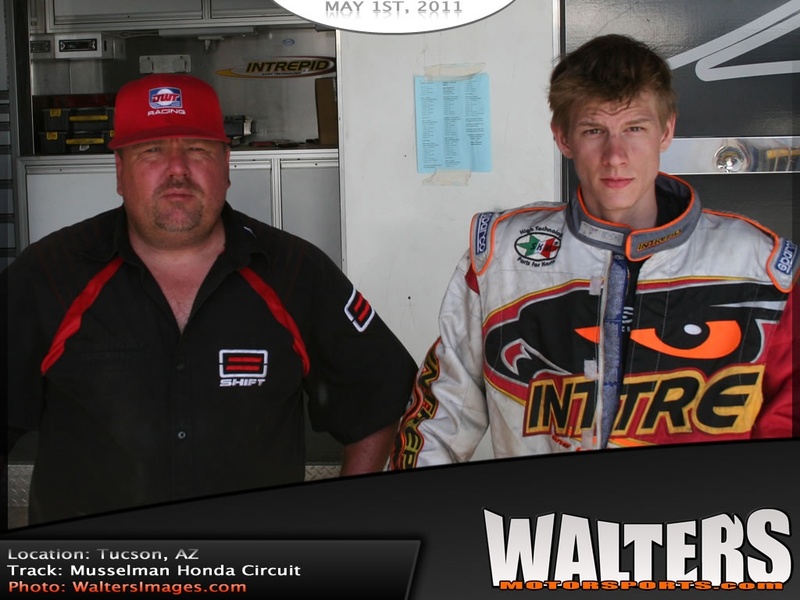 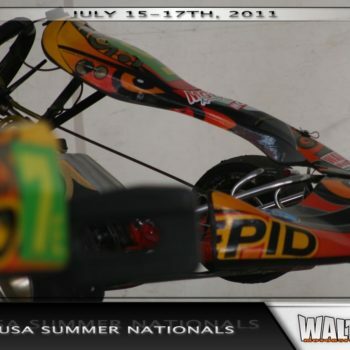 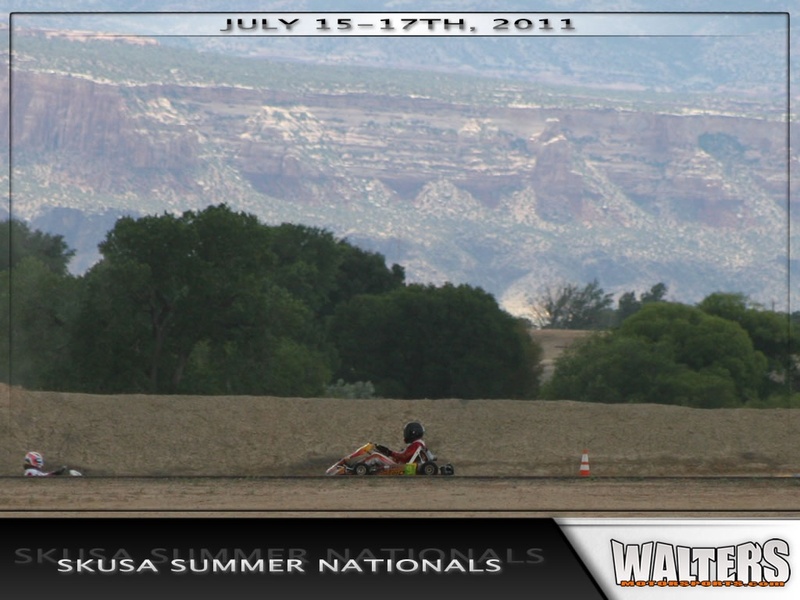 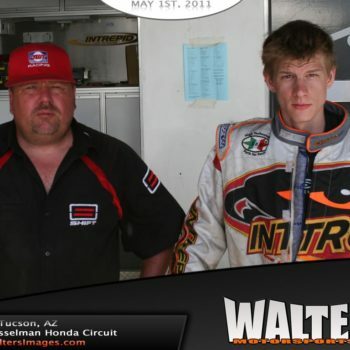 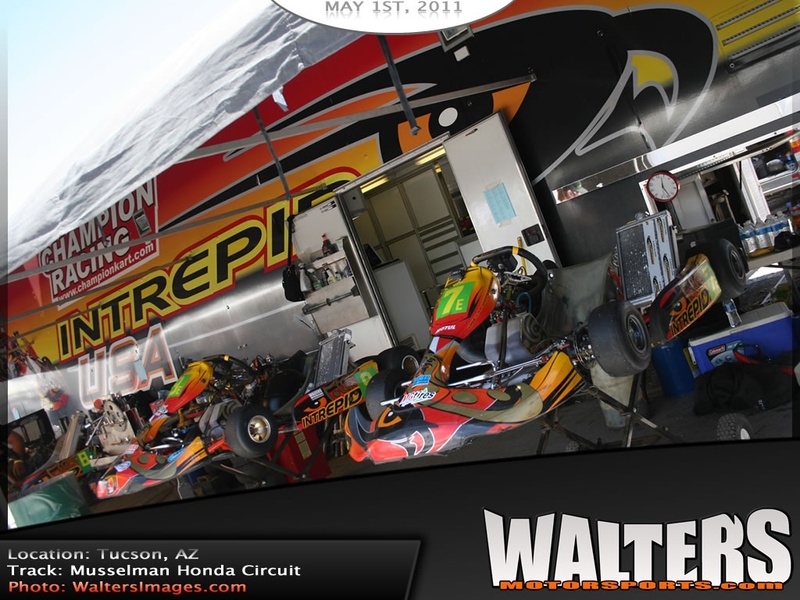 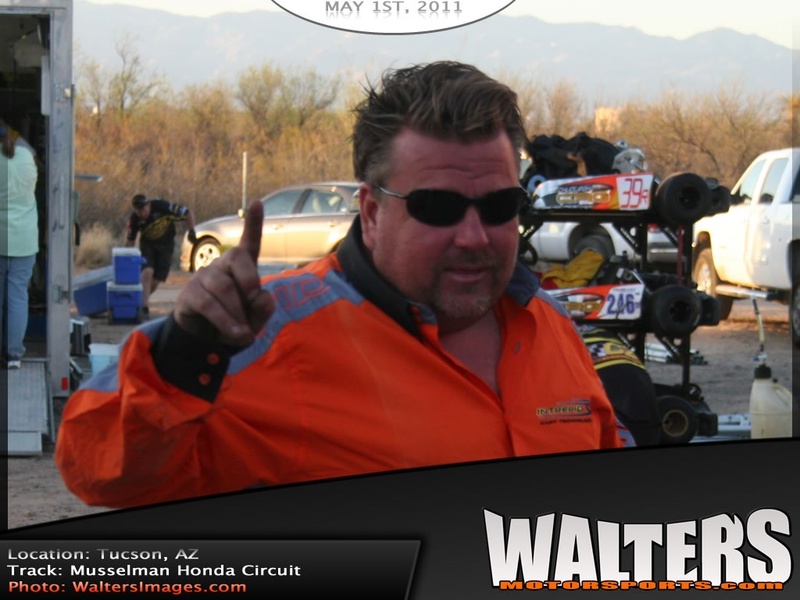 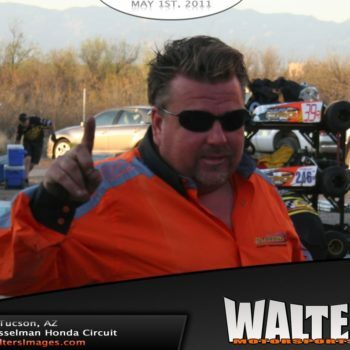 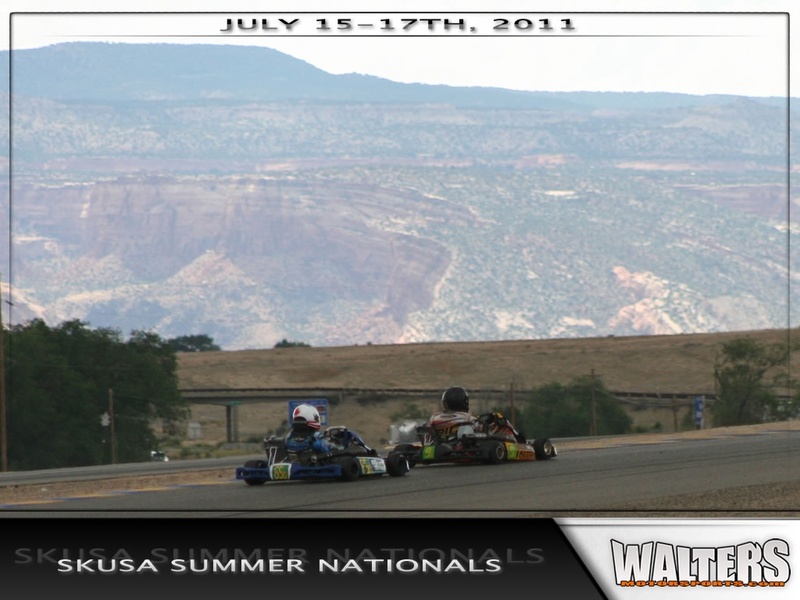 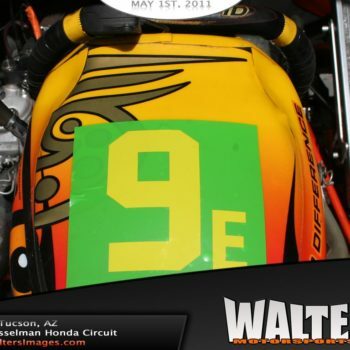 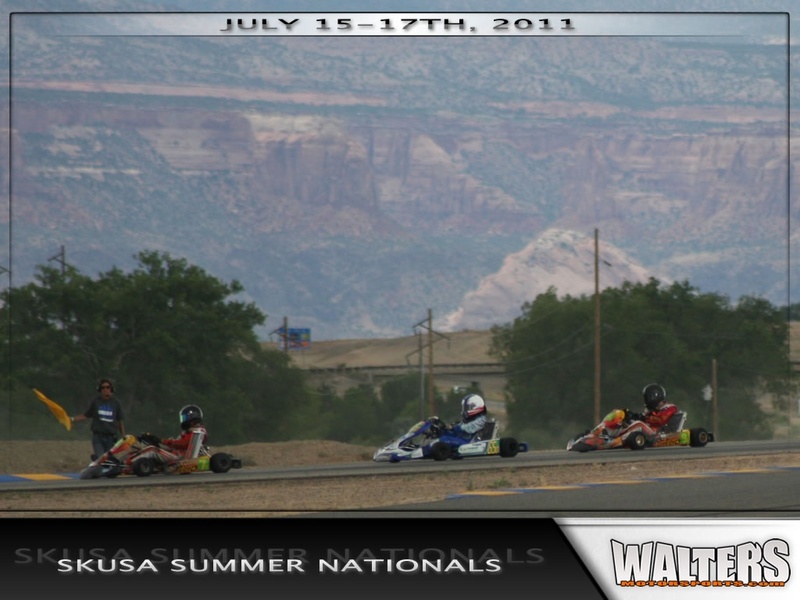 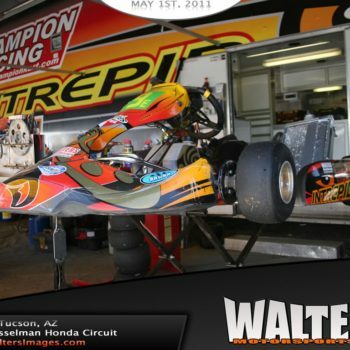 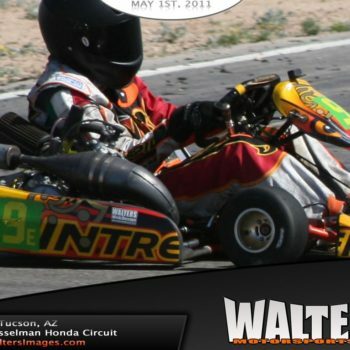 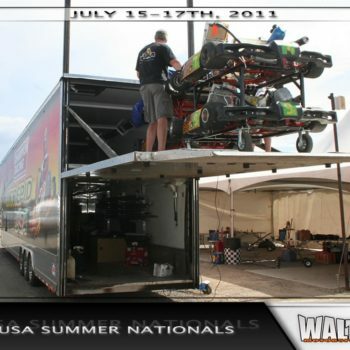 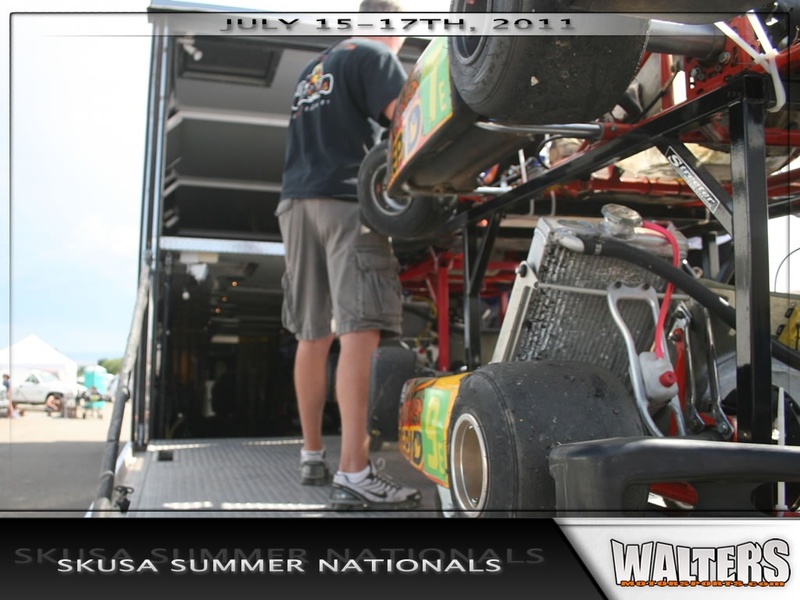 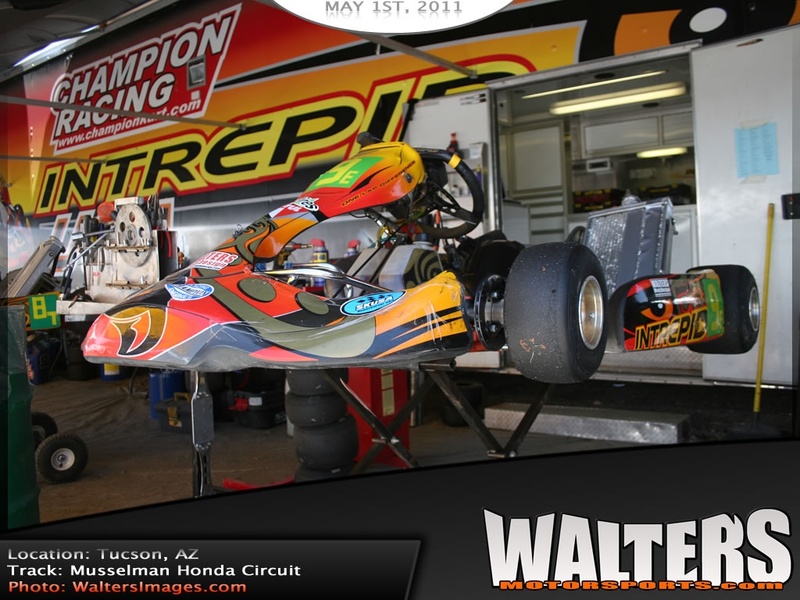 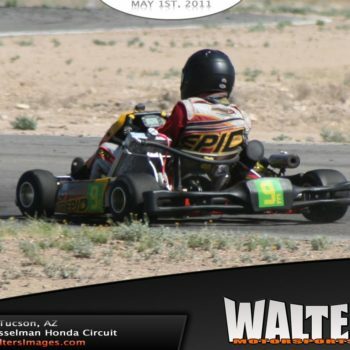 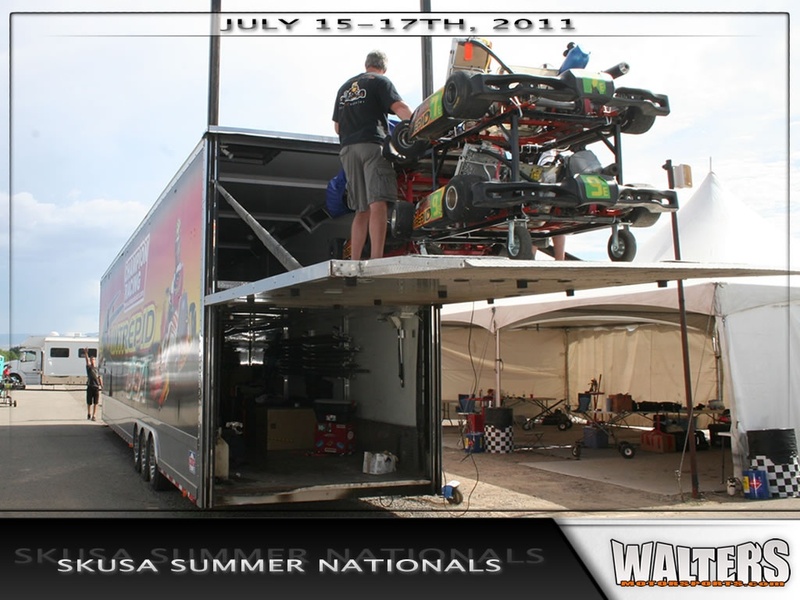 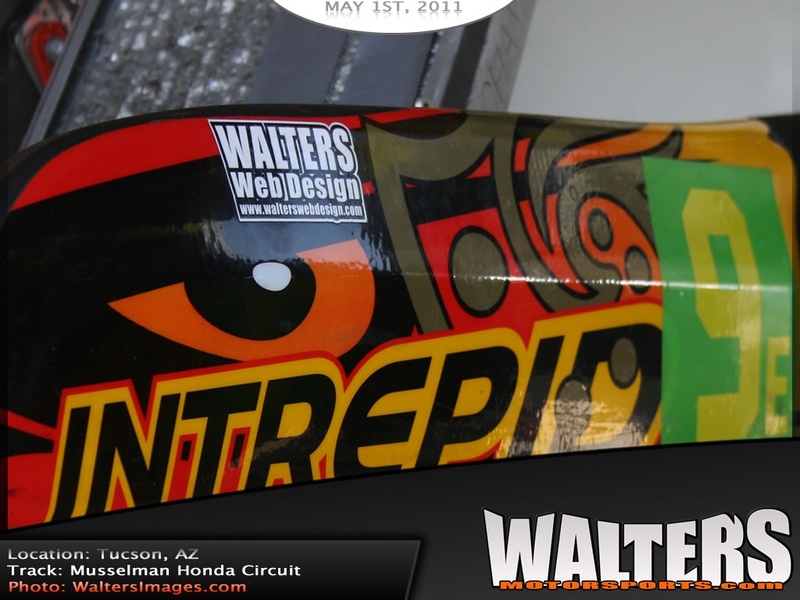 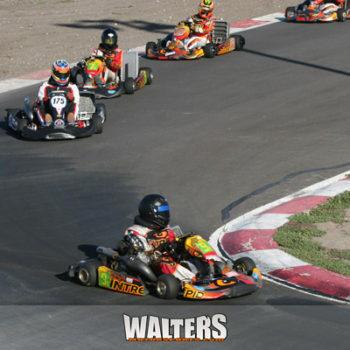 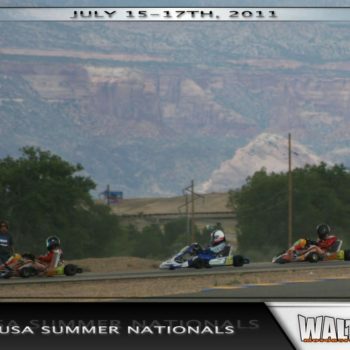 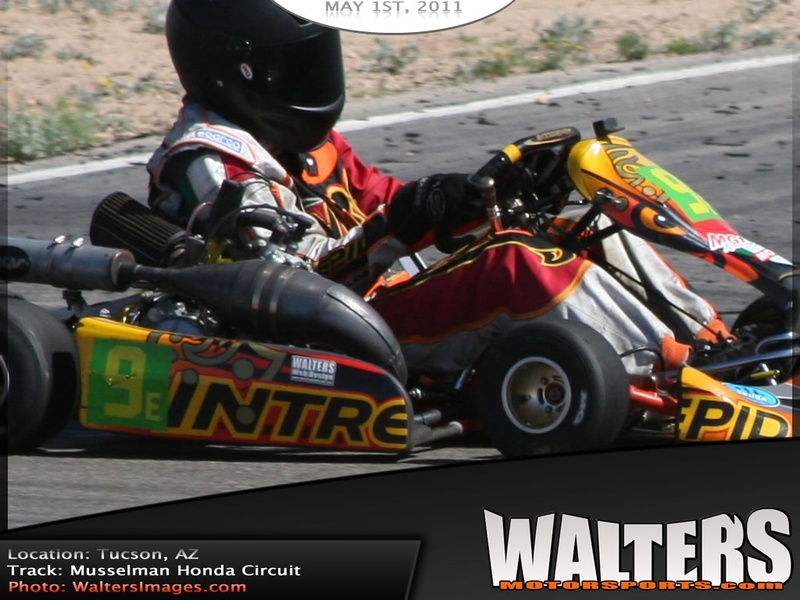 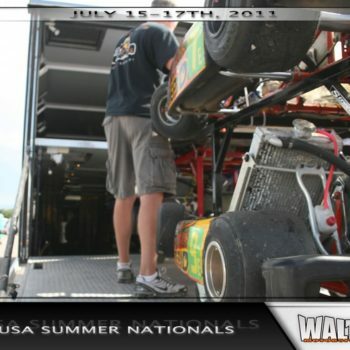 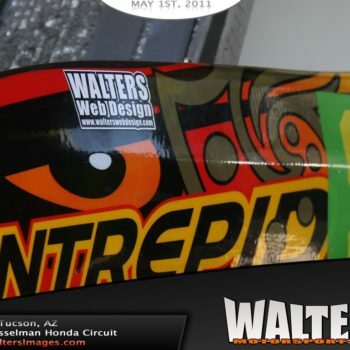 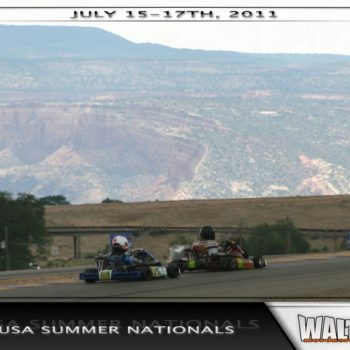 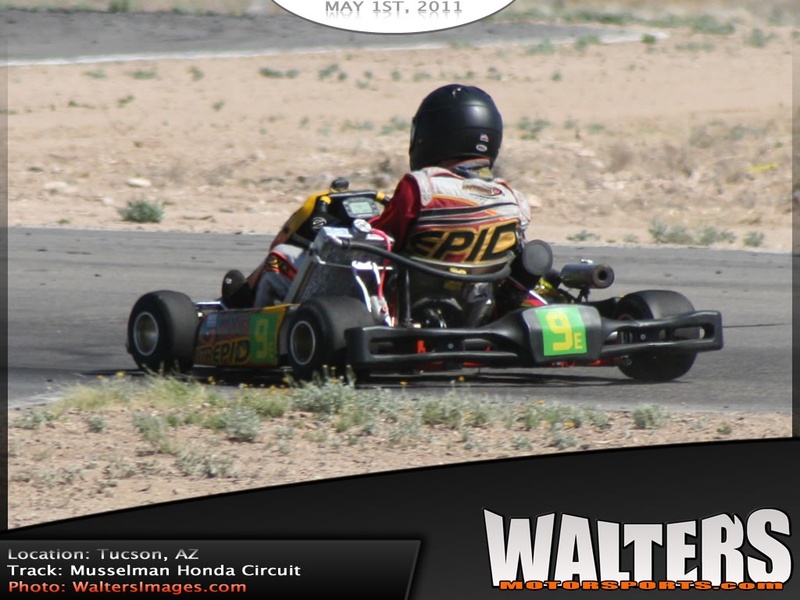 For more information on Walters Motorsports please visit our website www.WaltersMotorsports.com. 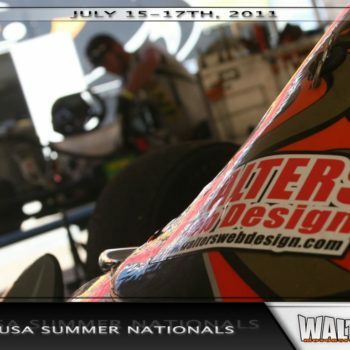 Follow the team on twitter at www.twitter.com/WaltersMTRSPRTS and on facebook at www.facebook.com/WaltersMotorsports to keep up to date with team results, new photos and website updates.